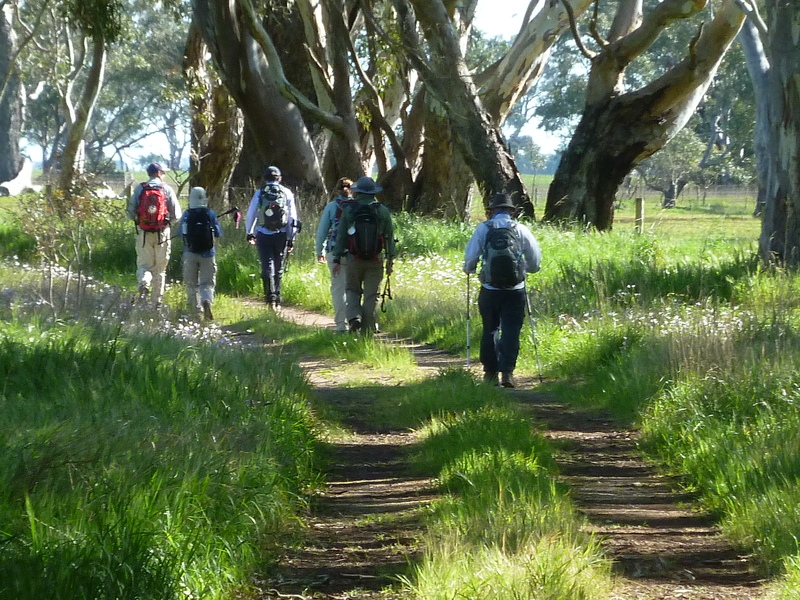 Developed by Sean Deany and Luke Mills, the MacKillop – Woods Way follows the journey taken by Australia’s first Saint, Mary of the Cross MacKillop, in 1866 from Portland to Penola, which is widely accepted as the birthplace of her Congregation, the Sisters of St Joseph. To read more click here. 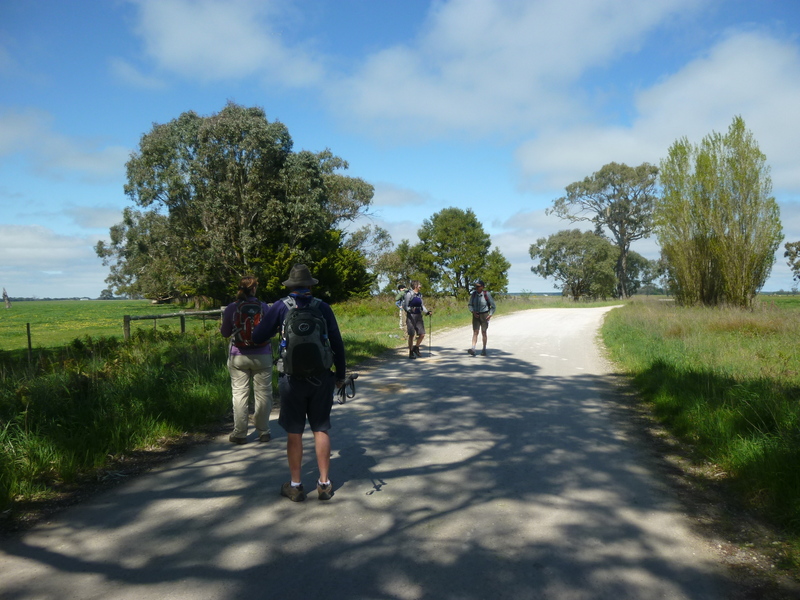 On Friday 26 September 2015, a small group of seven pilgrims left Melbourne to walk the MacKillop-Woods Way from Portland in the Western Districts of Victoria, to Penola in South Australia. 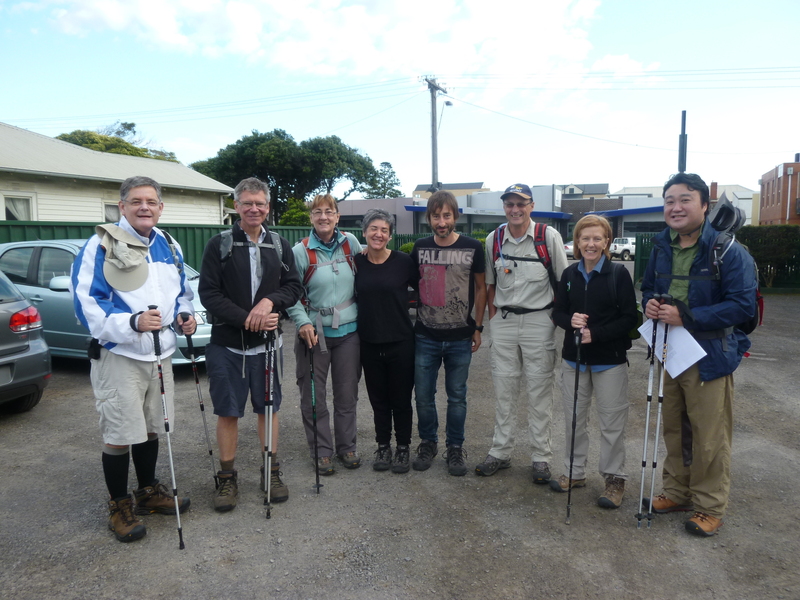 We drove from Melbourne to Portland and started walking on the morning of Saturday 27 September. 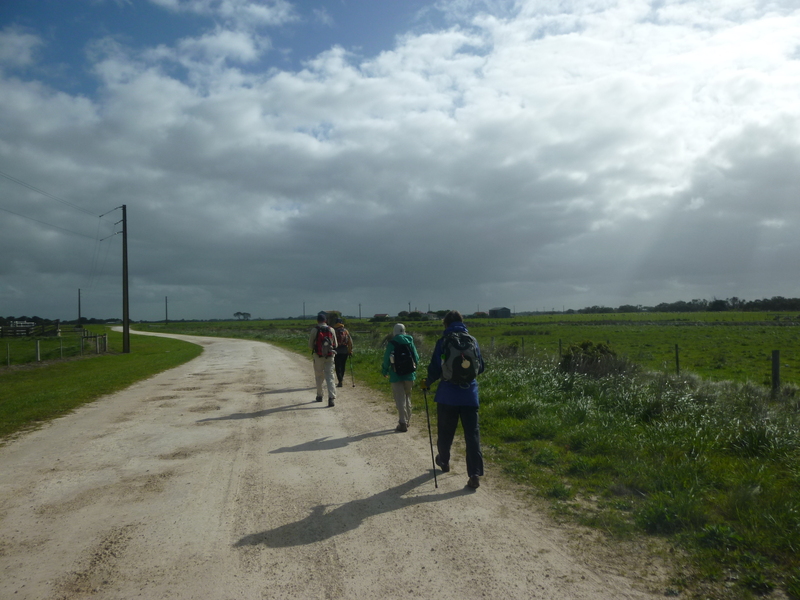 We walked for eight days until Saturday 4 October (evening). 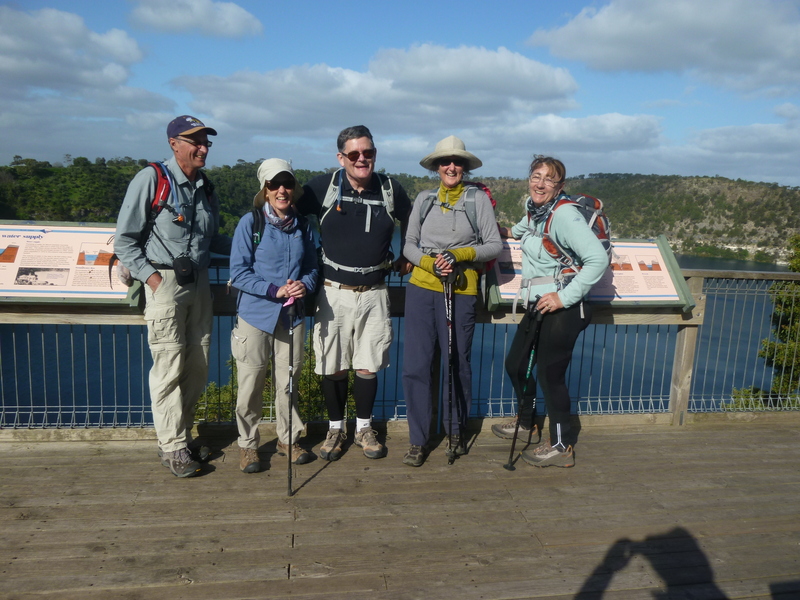 Of the group of seven of us who made the pilgrimage, six had walked the Ignatian Camino in 2013: Michael Bertie, Jan Fitzpatrick, Larry and Geraldine Naismith, Helen Lucas and Michael Smith. 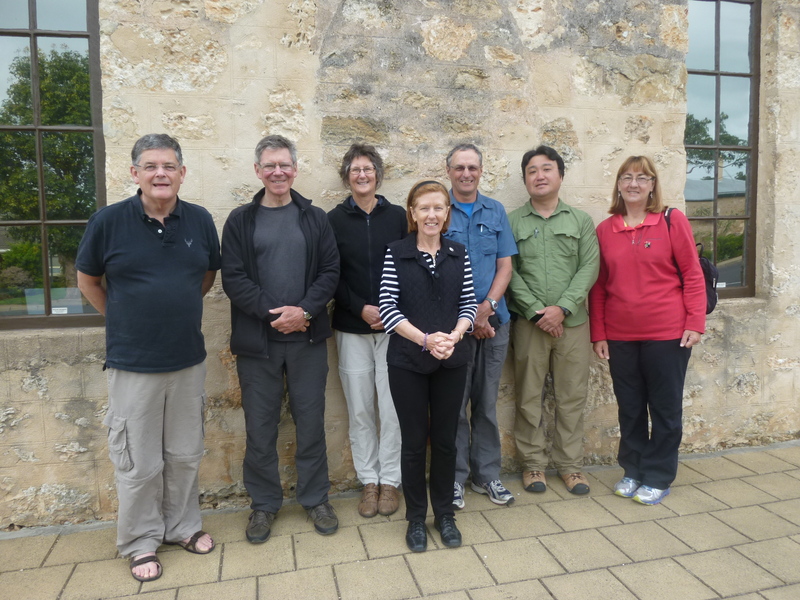 We were joined by Yasuhisa Kogure, a Japanese Jesuit who is in Australia studying for his Master of Arts in Spiritual Direction at Jesuit College of Spirituality. 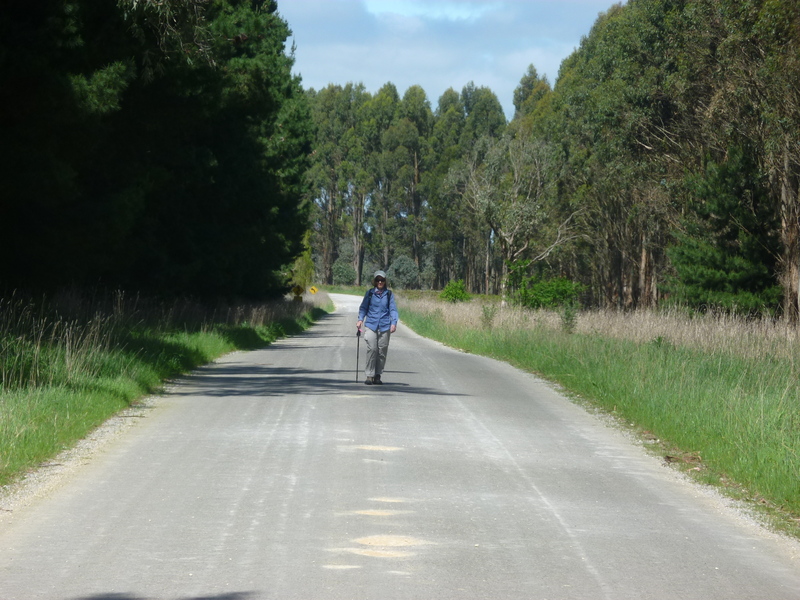 The Mary MacKillop Camino took eight days to walk and was about 230 kilometres in length. 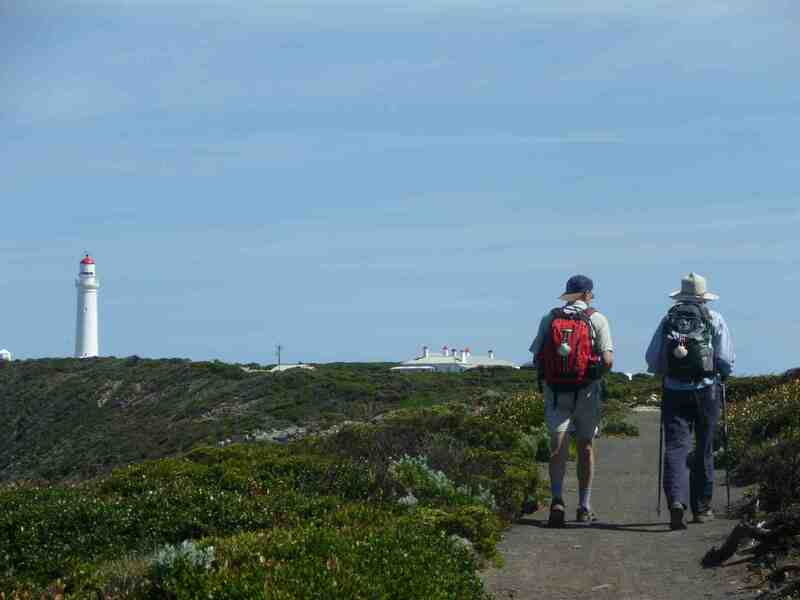 This is my account of the pilgrimage. 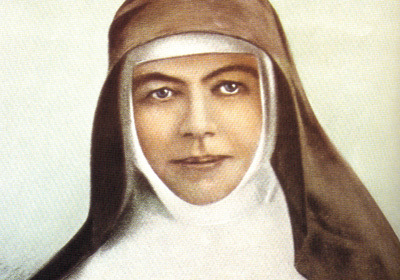 Mary MacKillop is Australia’s first canonised Saint. 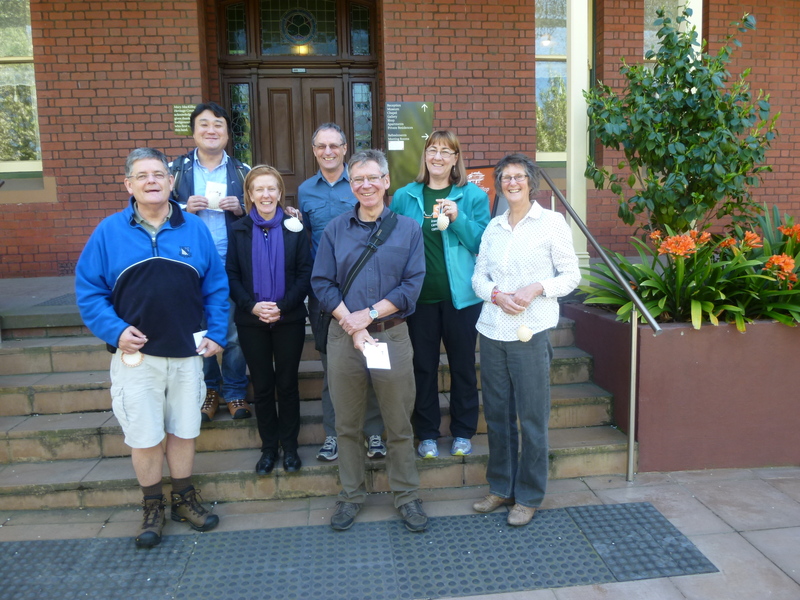 This morning we went to the Mary MacKillop Heritage Centre in East Melbourne where we had Mass and collected our credentials (the ‘passports’ we will have stamped along the way) and the special shells which we attached to our packs. Then we drove to Portland and will start walking tomorrow morning. 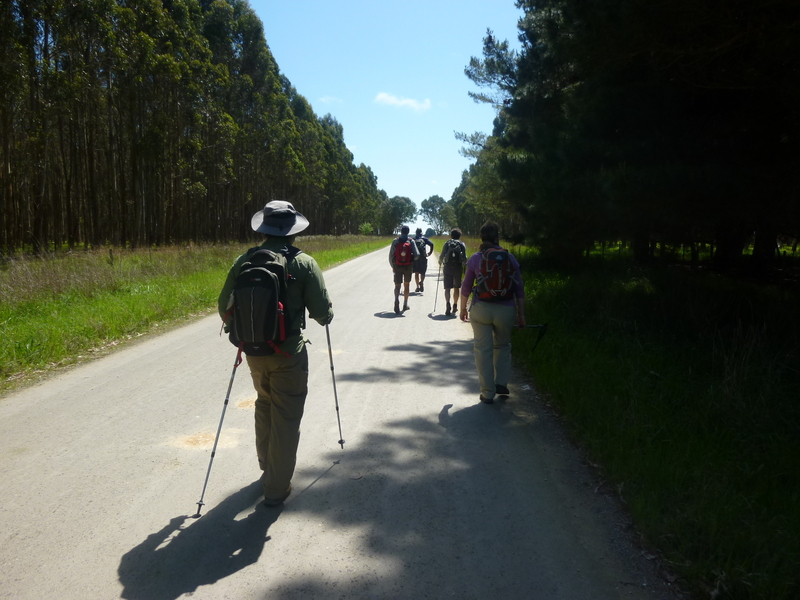 The first day is 35 kilometres, so it will be a test of our fitness. No short stages to ease us in! 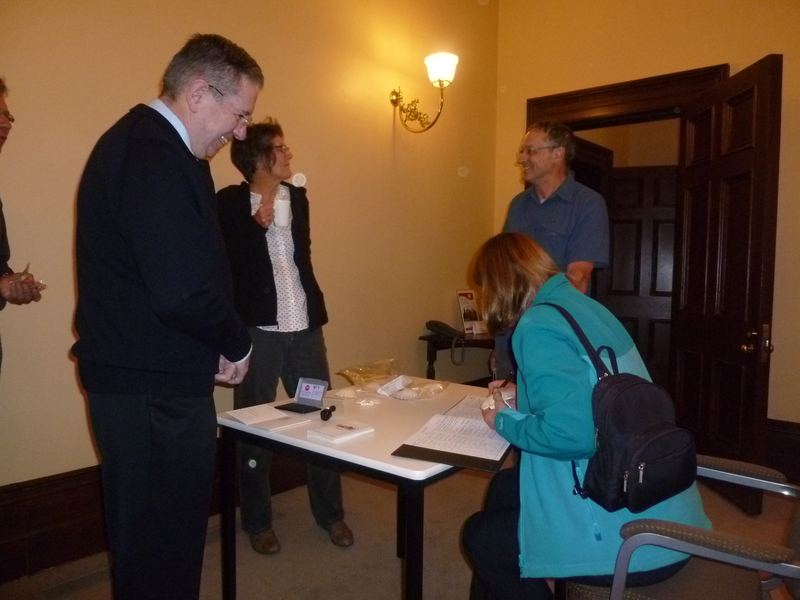 Geraldine Naismith signing the Register and receiving her ‘passport’. Jan Fitzpatrick and Larry Naismith are sharing a joke. 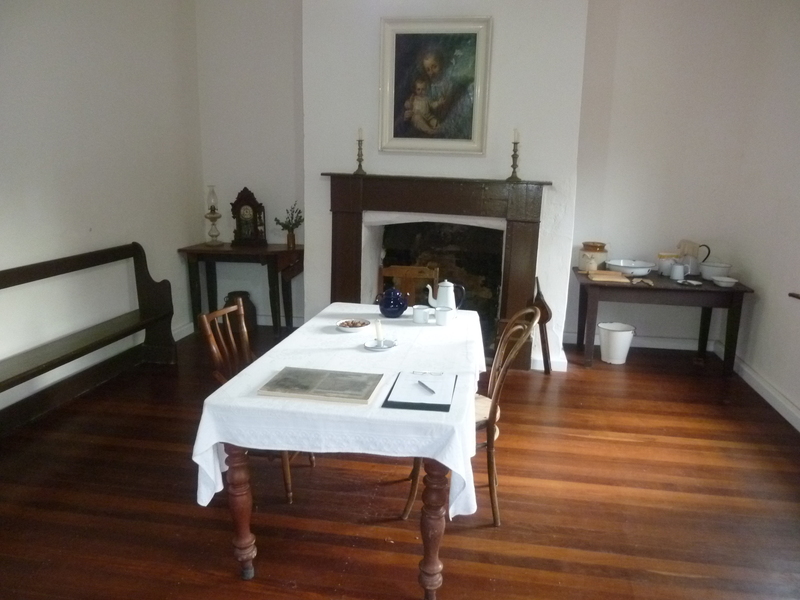 Mary MacKillop co-founded the Sisters of St Joseph of the Sacred Heart (the Josephites), with Fr Julian Tenison Woods. 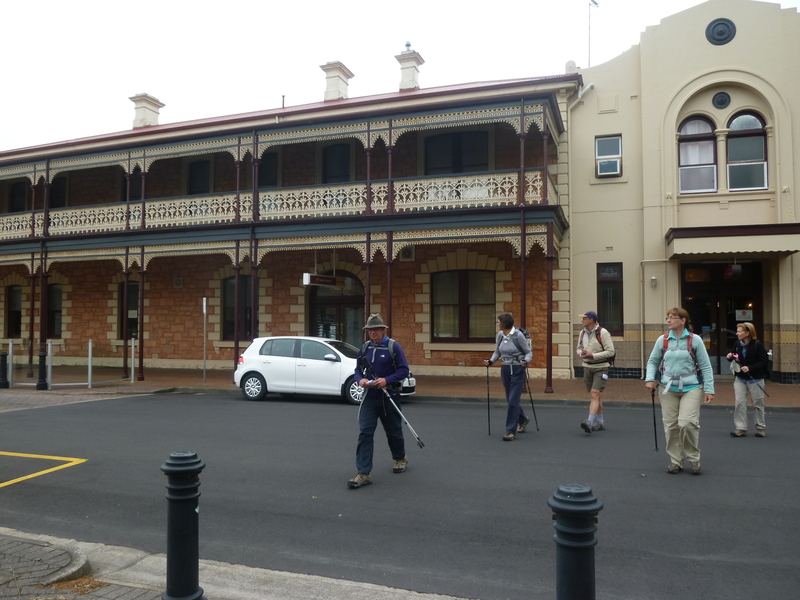 Under her guidance the Josephites established schools for the poor and underprivileged in South Australia and later across Victoria and Sydney. She and her sisters were also responsible for setting up orphanages and homes for the destitute as well as establishing refuges for ex-inmates of Australia’s grim Nineteenth Century prisons and shelters for former prostitutes. 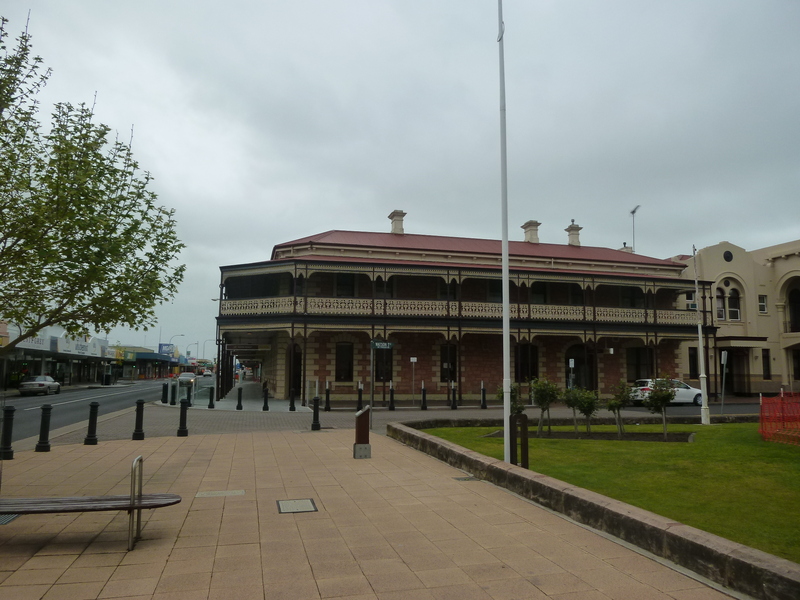 Born in Brunswick Street, Fitzroy in Melbourne in 1842, Mary was the eldest of eight children, the daughter of Scottish-born immigrants Alexander and Flora MacKillop. 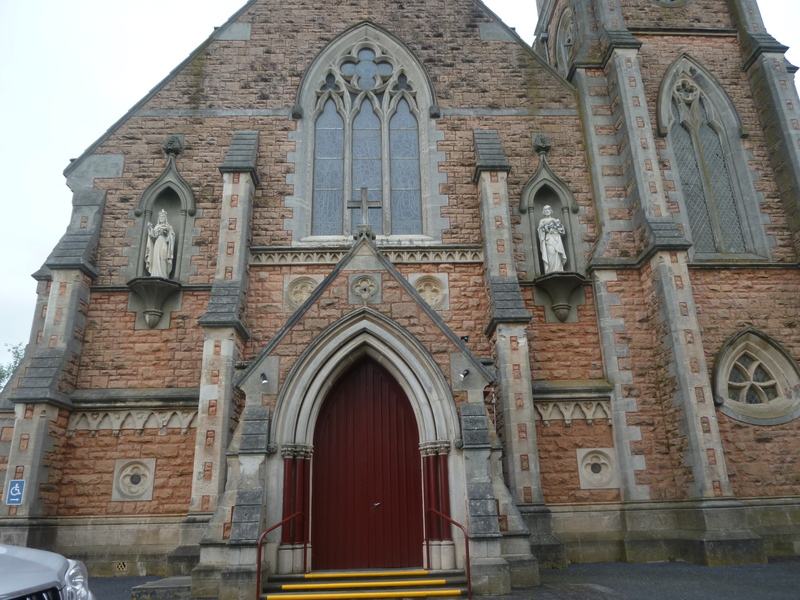 At 19, Mary met Father Julian Tenison Woods who was in charge of the Penola Parish in South Australia. 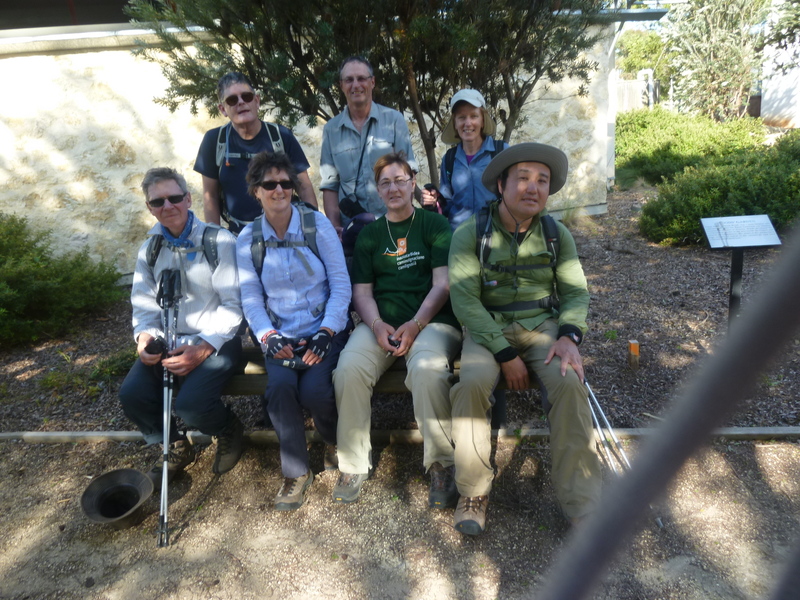 A talented missionary, musician, writer, scientist and lecturer, Fr Julian and Mary had similar ideas and she was eager to enlist when he told her he needed help with the religious education of children in the Outback. In 1866 they co-founded the Sisters of Joseph of the Sacred Heart. As the fledgling Congregation’s first member and its Mother Superior, Mary took a vow of poverty, and donning a simple brown habit. 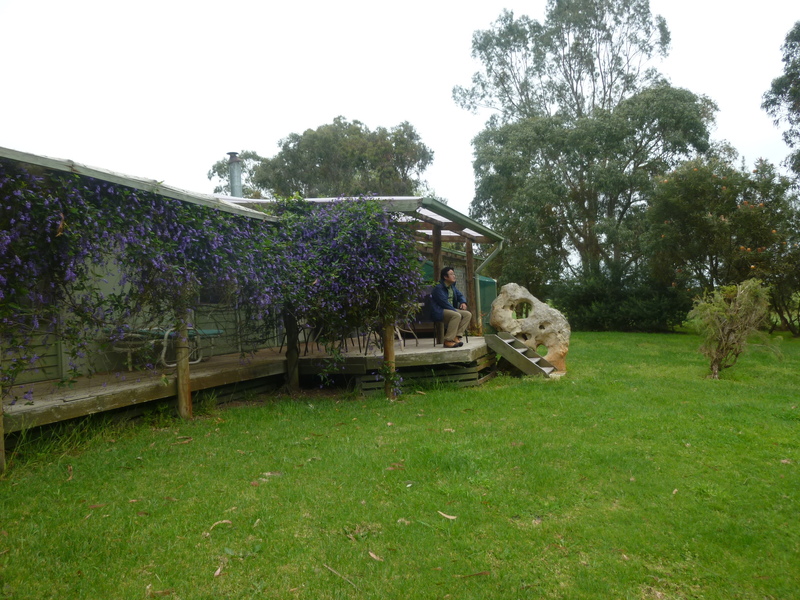 She opened her first school on March 19, 1866 in Penola in a disused stable. 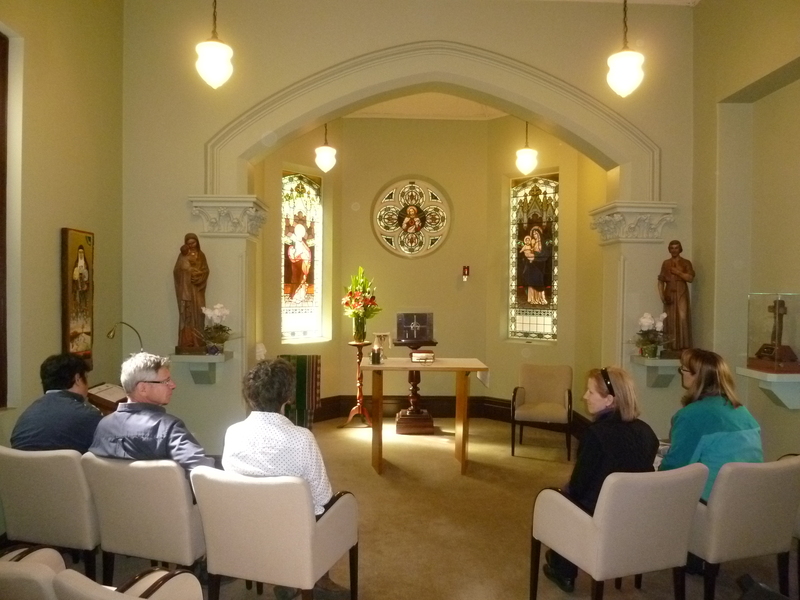 On hearing of her work, other young women joined her and they became known as the Josephite Sisters. 1842 Born Mary Helen MacKillop to Scottish migrants Alexander MacKillop and Flora Hannah MacDonald in Melbourne. She was the eldest of eight children. 1858 Starts works as a governess. 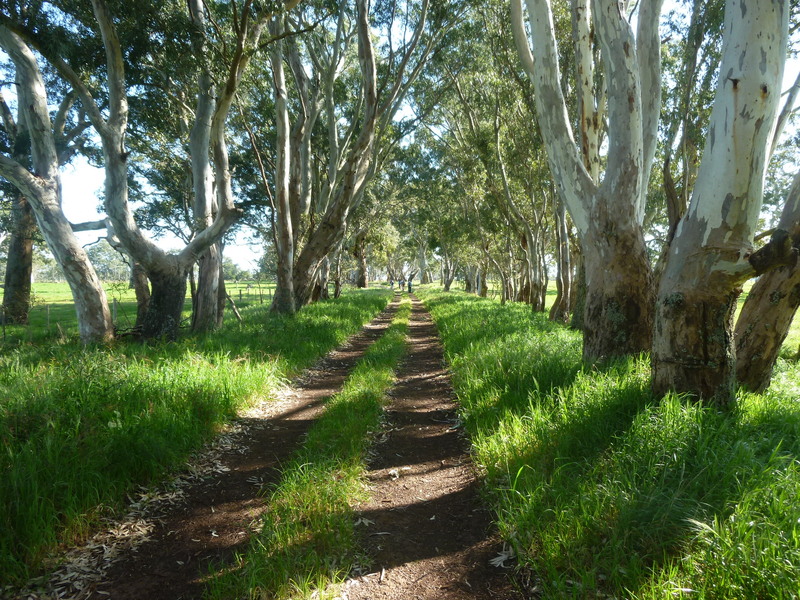 While working in Penola, South Australia, teaching her uncle’s children, she meets Father Julian Tenison Woods. 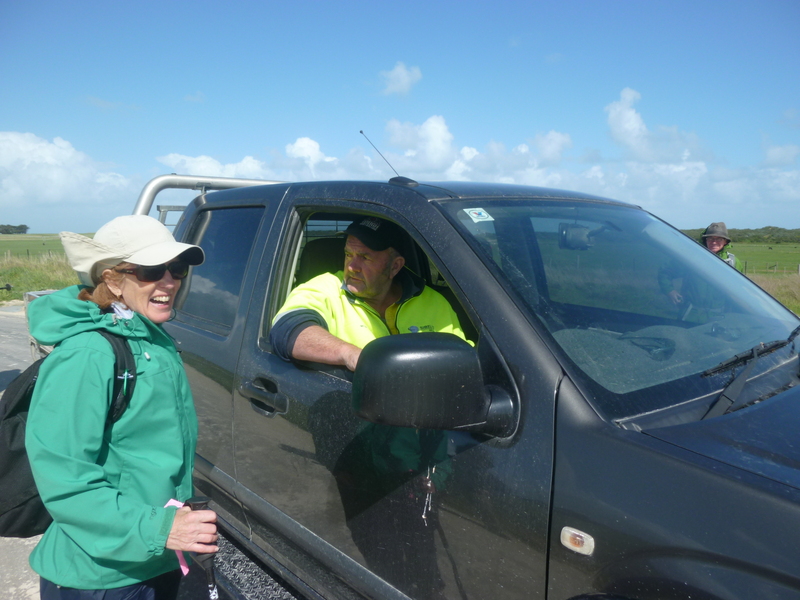 He tells her of the need for religious and secular education for outback children. 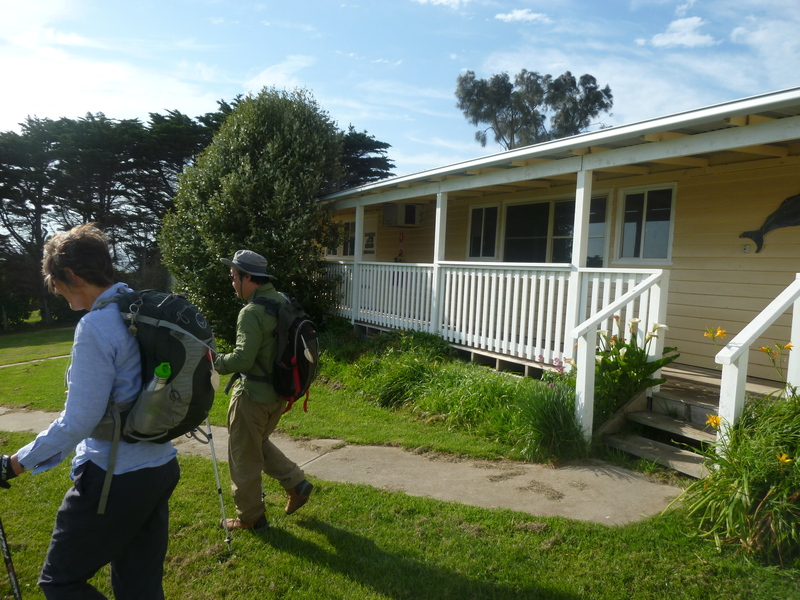 1864 She establishes Bay View House Seminary for Young Ladies in Portland, Victoria. 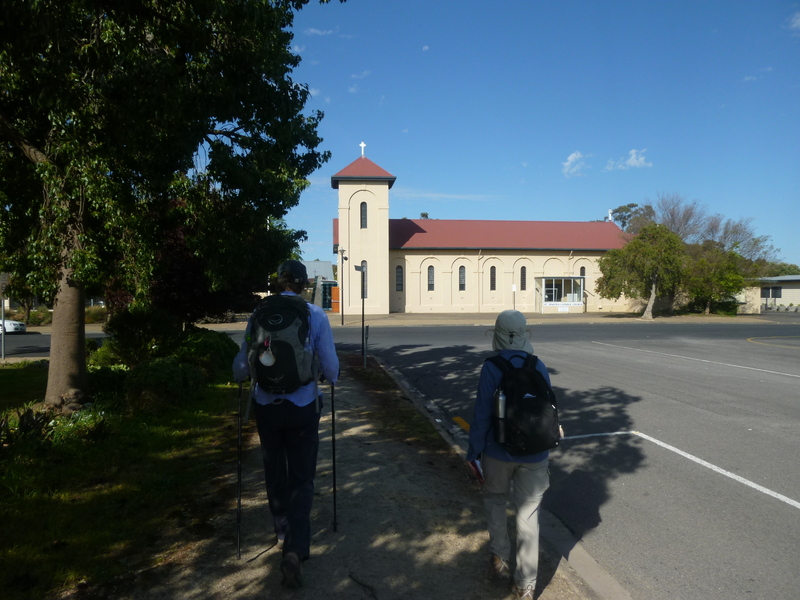 1866 She returns to Penola and adopts the religious name of Sister Mary of the Cross. 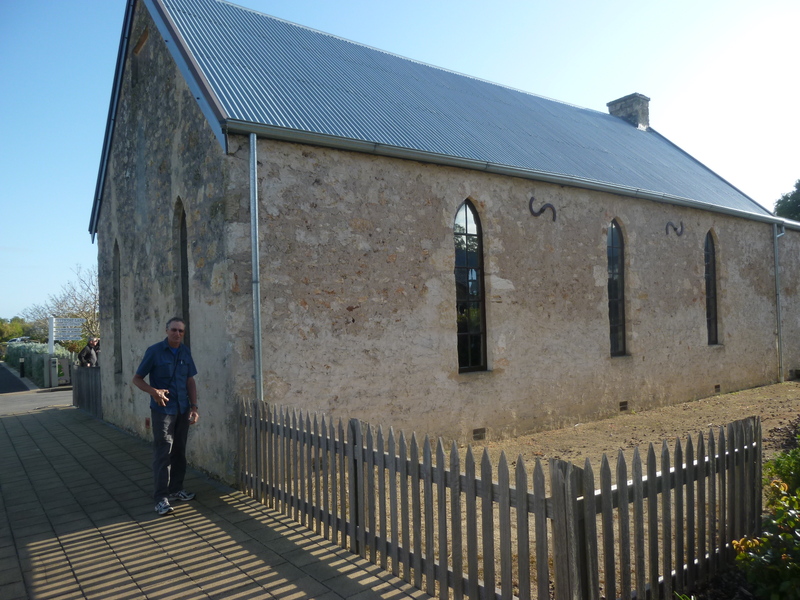 She founds the first St Joseph’s School with Father Woods in a disused stable. 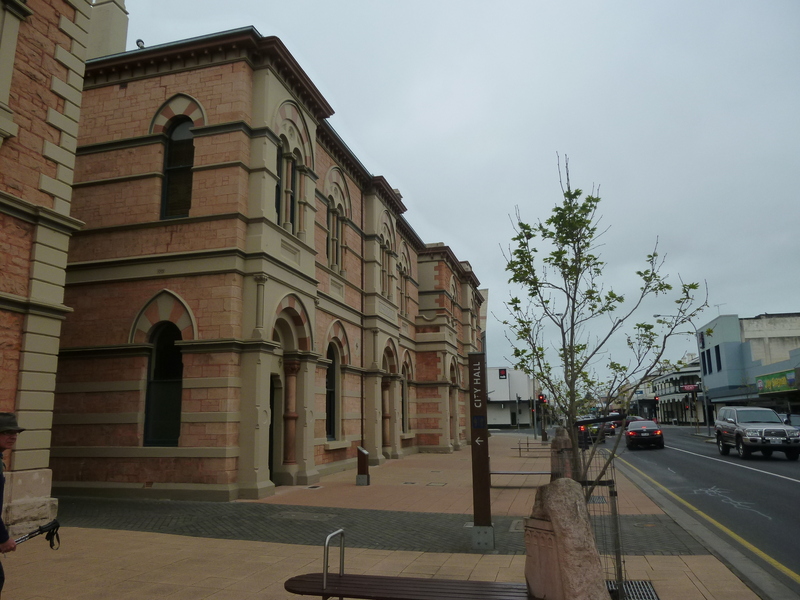 1867 Members of the newly formed Sisters of St Joseph of the Sacred Heart move to Adelaide to found a school. The Sisters also establish a women’s refuge, an orphanage and a home for older women. 1871 There are 130 sisters working in more than 40 schools and charitable institutions across South Australia and Queensland. However, tension between Mother Mary and ecclesiastical authortities leads to her excommunication by Bishop Laurence Sheil for alleged insubordination. 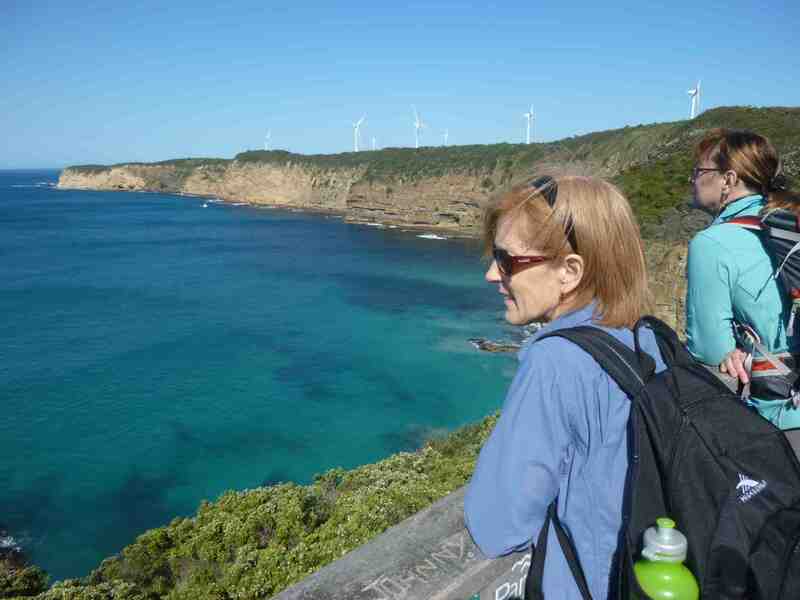 She is given refuge and support from the Jesuits in Norwood and Sevenhill in South Australia. After five months, Bishop Sheil regrets his action and removes the sentence, allowing the Josephites to continue their work. 1873 Mother Mary travels to Rome to seek papal approval for her work. Pope Pius IX assures her that her congregation, and their rule of life, would receive final approval after a trial period. 1888 Pope Leo XIII gives the final approval to the Sisters of Saint Joseph of the Sacred Heart. 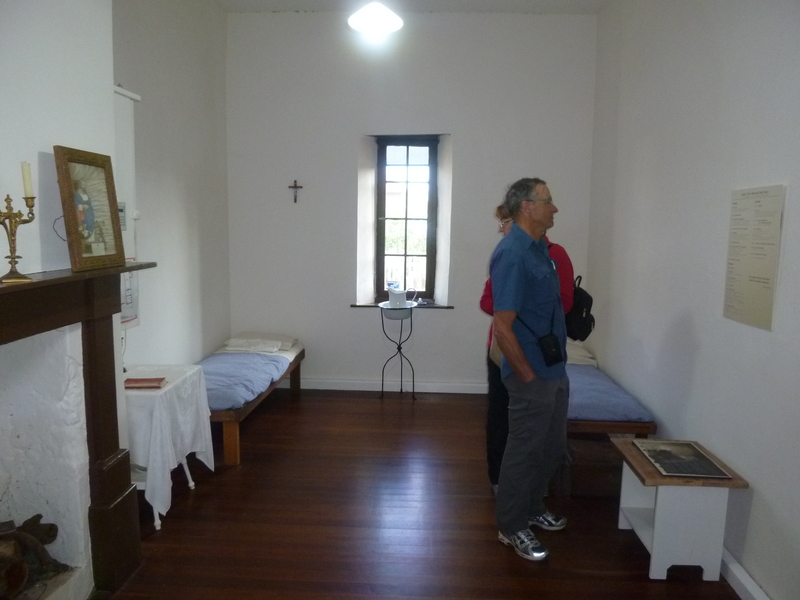 1909 Mother Mary dies in the Josephite convent in North Sydney. 1925 Mother Superior of the Sisters of St Joseph begins campaign to have Mother Mary declared a saint. 1992 Mother Mary’s “heroic virtue” declared. 1995 Pope John Paul II beatifies her after recognising a first miracle attributed to her. A woman was said to have been cured of terminal leukaemia in 1961 after praying to Mother Mary. 2009 Pope Benedict XVI recognises a second miracle, the complete and permanent cure of Australian woman Kathleen Evans from inoperable cancer. 2010 Pope Benedict declares Mother Mary a saint on October 17. At 8.00am we were ready to leave Mac’s Hotel in Portland. I asked a young man if he would take our photo. I noticed that he had an accent, so I asked him, “Where are you from?” He replied, “Spain.” We all sparked up at this. 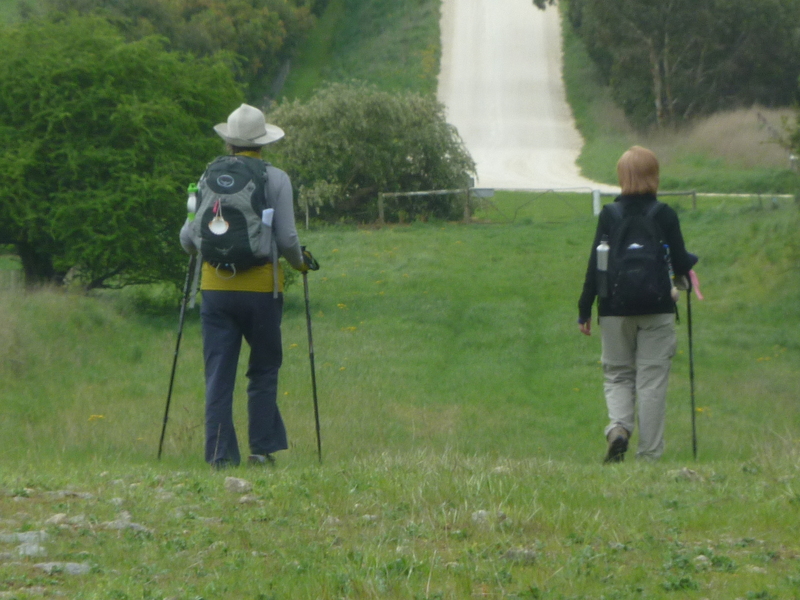 “Oh, we were in Spain last year walking the Camino.” “The camino to Santiago?” “No,” I replied, “we walked the Ignatian Camino from Loyola to Montserrat and then to Manresa.” Then they sparked up. “We live in Manresa!” They knew the Jesuit retreat centre at Manresa. He is in Information Technology and she is a nurse. We thought he looked like Saint Ignatius and that this was a good sign for the pilgrimage upon which we were about to embark! 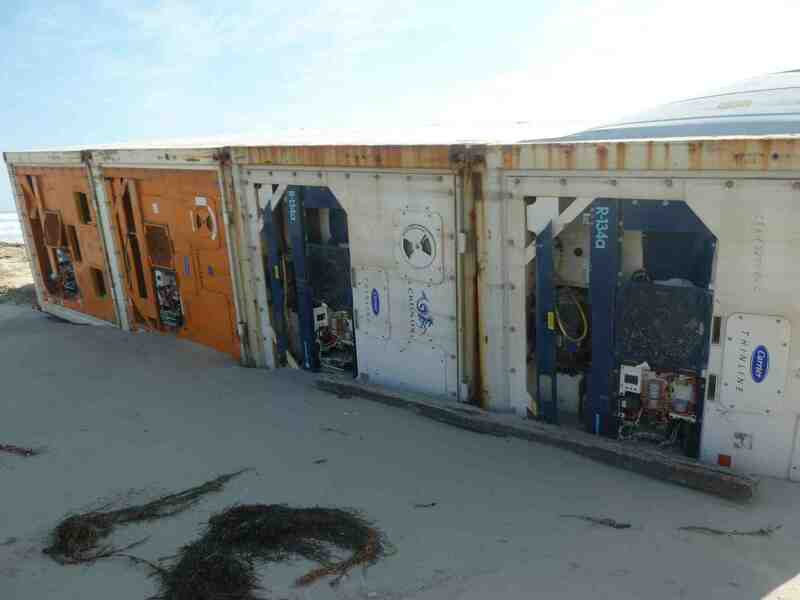 A lowlight of the day was walking along a beach and discovering some shipping containers that must have fallen off a ship and washed ashore. It seemed so disordered in such a pristine environment. 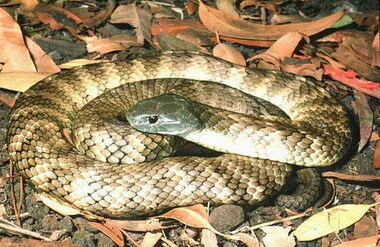 One of the excitements of the day was encountering what someone said was a Tiger Snake on the path. 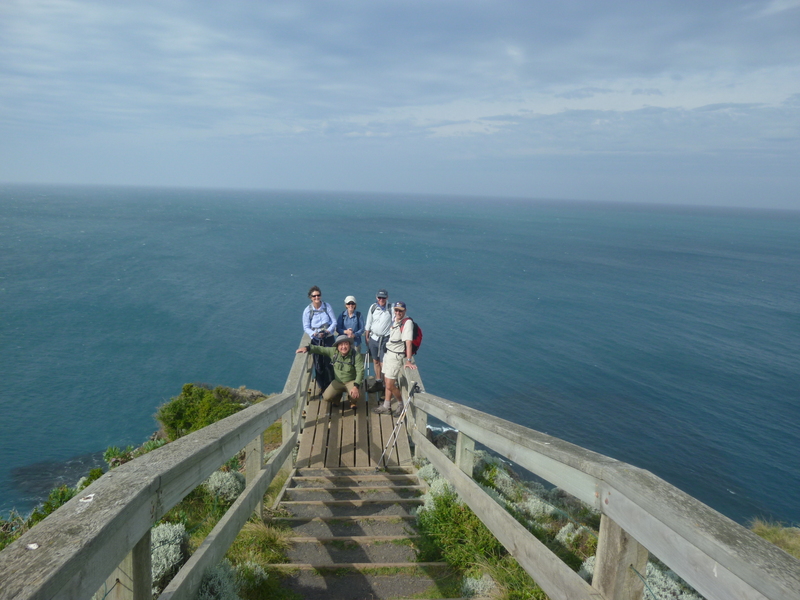 We had difficulty shooing it away so that we could continue our walk. 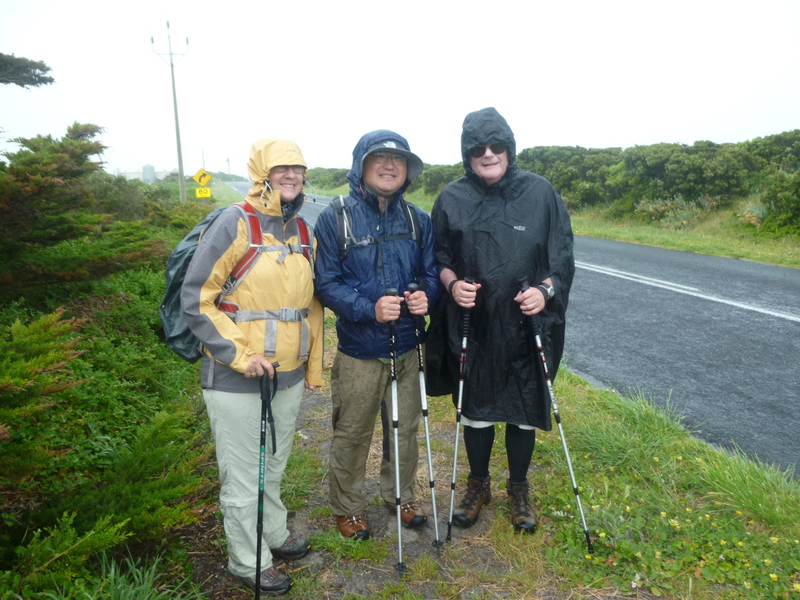 Today was supposed to be an easy day but, although it was shorter than yesterday, it ended up a tough walk because of the 40-50 kilometre per hour winds that blew in off the Southern Ocean and buffeted us about. Some reflected later during Mass that the buffeting was a bit like begin thrown around in life. 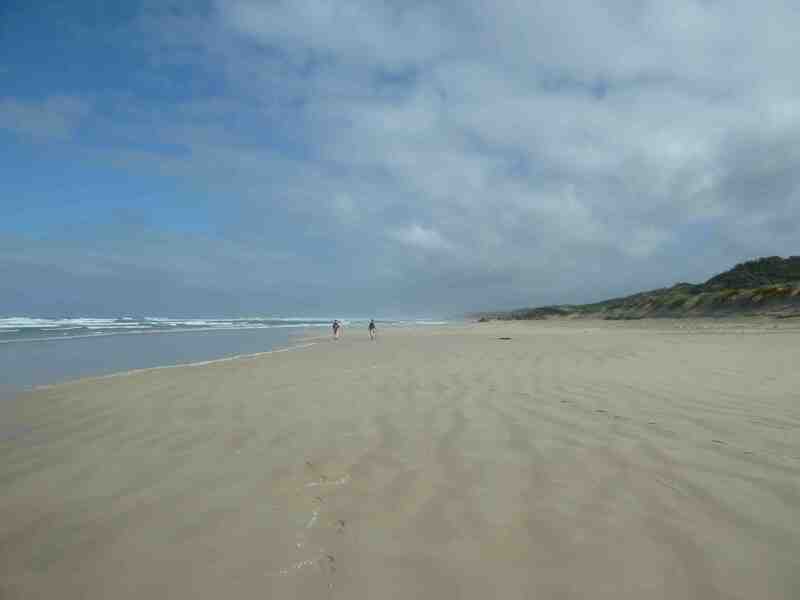 The gale force winds blew sand into our faces and it was like standing in front of a sand blaster. But nonetheless the scenery was spectacular. 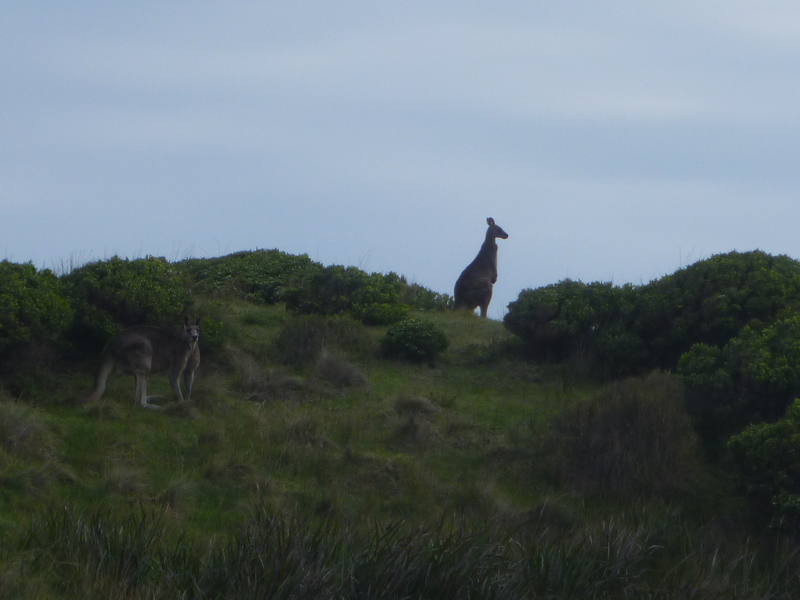 Today we encountered a lot of wildlife. 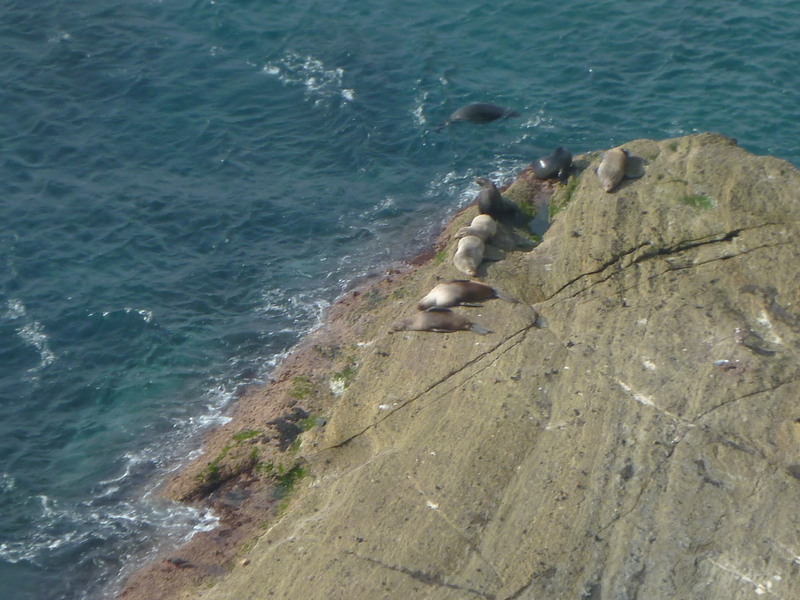 We saw New Zealand and Australian Fur Seals early on in the morning. 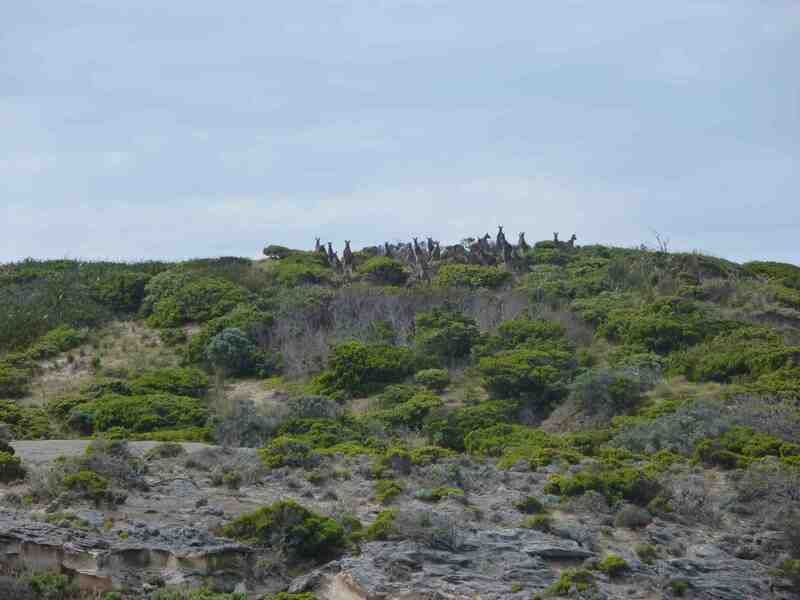 Later a mob of about 40 kangaroos seemed to shadow us on the ridge. 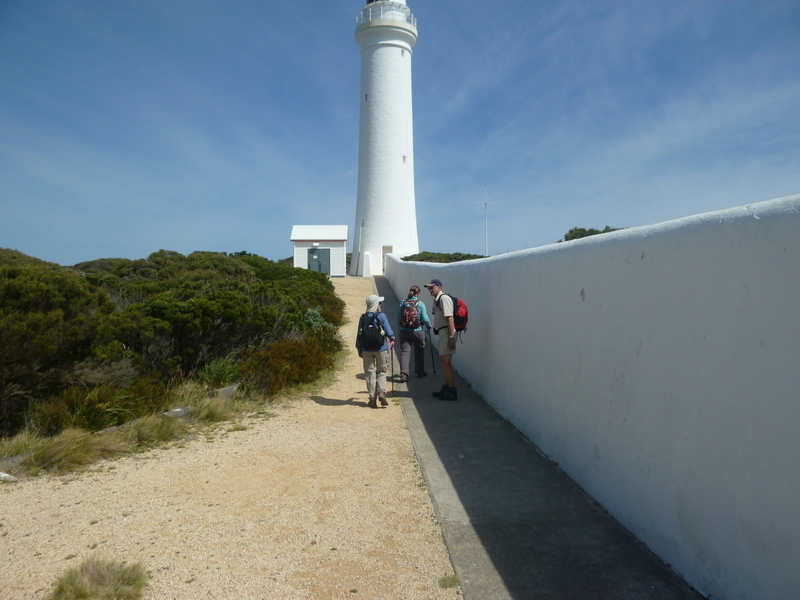 There were Wallabies in the bushes and a blue-tongued lizard on the path. 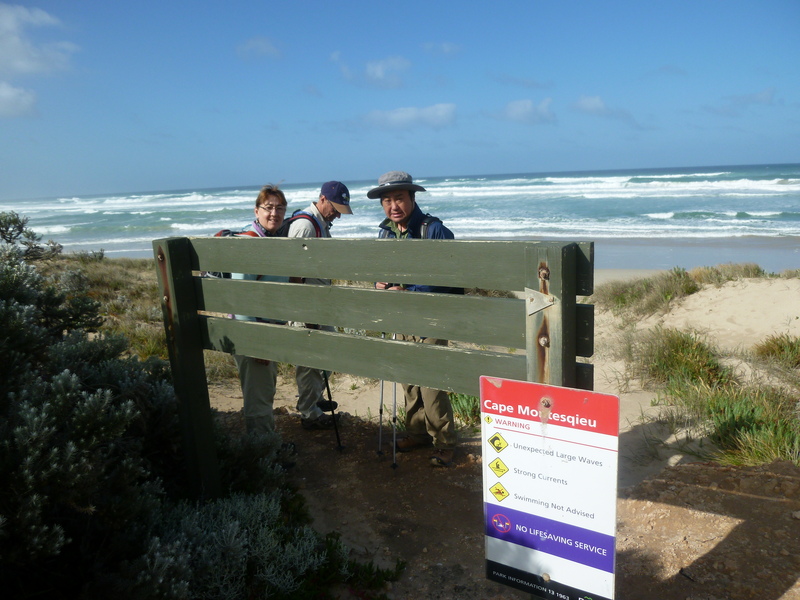 At the end of the walk our faces and arms were covered in sunscreen, sweat and a thin layer of sand. Our eyes were full of grit and so too our ears. Every person in the world is so put to­gether that by praising, revering, and living according to the will of God our Lord he or she will safely reach the Reign of God. This is the original purpose of each human life. Every other thing on the face of the earth is meant for humankind, to help each person come to the original purpose God has put in each of us. The only thing that makes sense in the use of all other things, then, is that a person use everything that helps realize that original purpose deep in the self, and turn away from everything that alienates us from the original purpose in ourself. We can push this a little further: When we are under no obligations in conscience, we ought to keep ourselves free of any fixed pref­erence for one or other created thing. Instead, we ought to keep ourselves at balance before anything. What does this entail? It means that before we ever face any decision we do not determine to do everything that will keep us healthy and nothing that might make us sick, to be rich rather than poor, to be consid­ered somebody important rather than a no­body, to live to a very old age rather than to die younger. In that way, we would keep a balance before any created thing when the times come for decision. We set ourselves to live in careful balance, to want to choose solely on the grounds of what leads more directly and more certainly to our original purpose. This version of the Principle and Foundation was written by Joseph Tetlow SJ, and appears in his book Choosing Christ in the World: Directing the Spiritual Exercises of St. Ignatius Loyola, St. Louis: Institute of Jesuit Sources, 2000. Then we focused on the Joyful Mysteries of our lives. Return to a scene in which you felt deeply loved… How was this love shown to you? In words, looks, gestures, an act of service, a letter..? Stay with the scene as long as you experience something of the joy that was yours when the event took place. Make sure that you don’t just return to these scenes and observe them from the outside, so to speak. They have to be re-lived, not observed. Act them out again. Let the fantasy be so vivid that it is as if the experience is actually taking place right now for the first time. It won’t be long before you experience the spiritual and emotional benefits of this exercise. You will become less resistant to accepting love and joy from your community, your friends and the people you work with. And your capacity for experiencing God and God’s love will also increase. 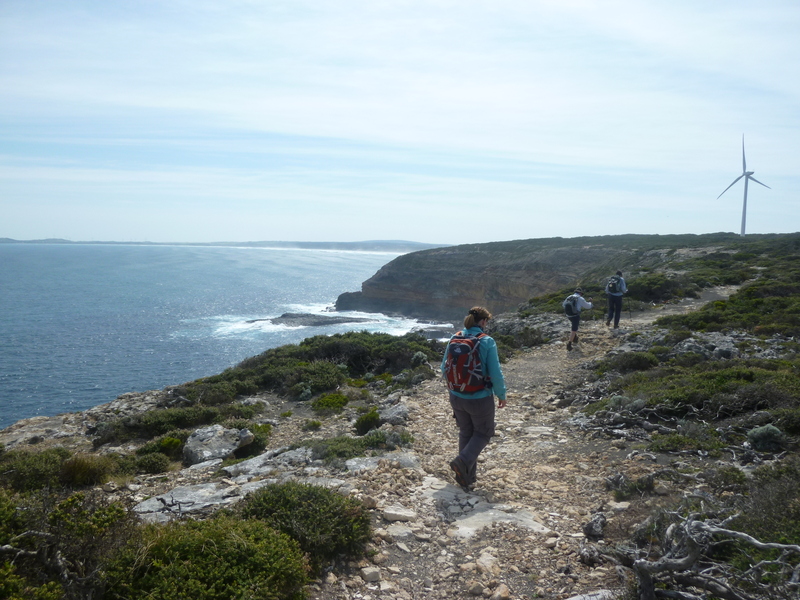 Today was some of the hardest walking that I have ever done. 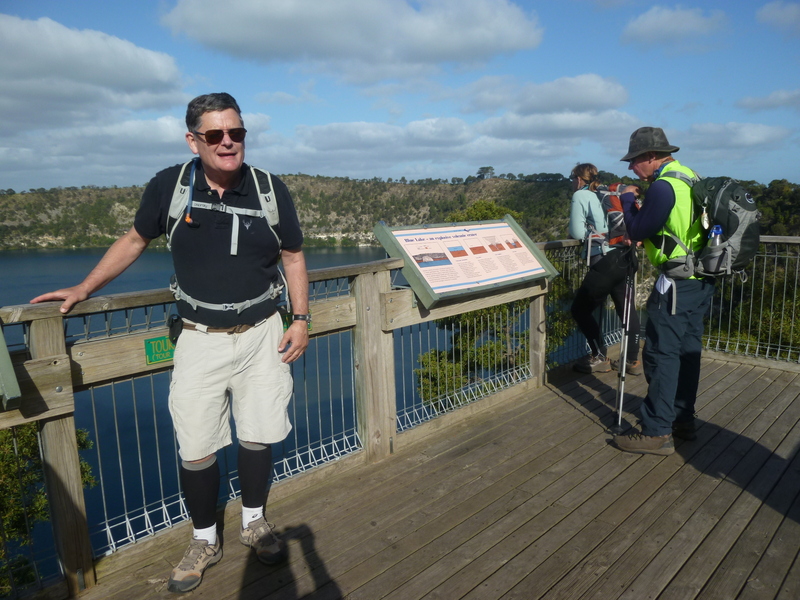 We split into two groups: Yasu Kogure, Larry and Geraldine Naismith and I drove to Lake Mombeong, left the four-wheel drive Toyota there and commenced our walk towards Nelson, our destination for the day. 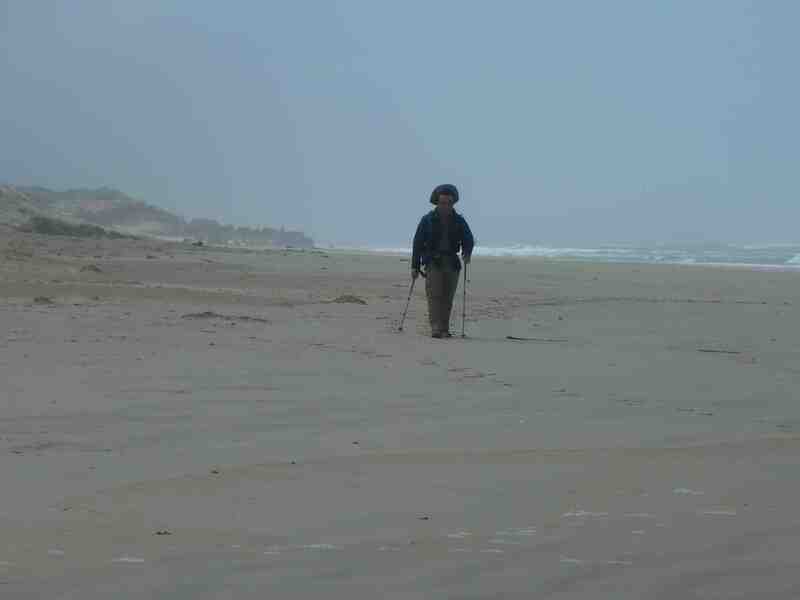 Meanwhile Helen Lucas, Jan Fitzpatrick and Michael Bertie drove to Nelson and walked back along the beach. We were supposed to meet for lunch half way, but somehow we missed each other when we went inland for a while. For six and a half hours Yasu, Larry, Geraldine and I battled against headwinds which at times reached 40 kilometre per hour. 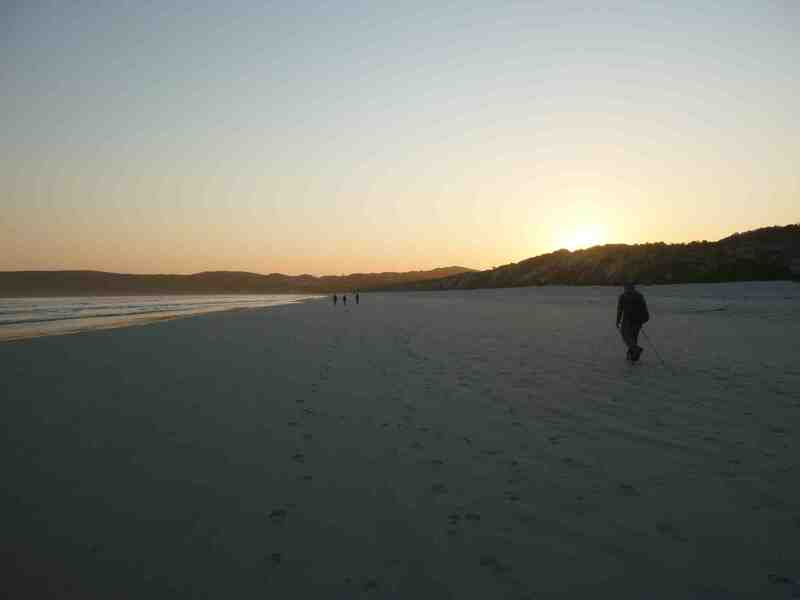 The scenery was beautiful, but the head winds and the soft, and at times mushy, sands made for very unpleasant walking. I found myself thinking of Scott and the doomed expedition to the South Pole! It was just one foot after another. 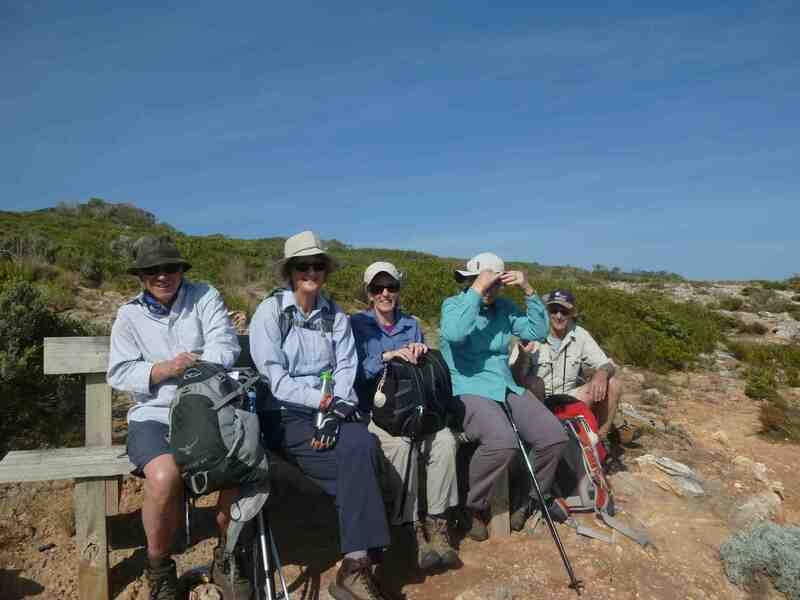 Even though Helen, Jan and Michael had the wind at their backs while they were walking on the beach and we thought they had it easier than, their day was not without difficulty. As they walked around Lake Mombeong they encountered three snakes, so they had to be particularly vigilant. Today we focused on the Sorrowful Mysteries of our lives. Maybe you carry within you wounds from the past that still rankle in your heart. It is helpful to return to the events that produced these negative feelings so as to drain them of any harmful effect that they might be having on you today. Return to some scene in the past where you have felt pain or grief or hurt or fear or bitterness…Relive the event. See the place and the people and what was done it detail… But this time seek and find the presence of the Jesus in it…In what way was He present? Return to the event again and again in imagination until you are no longer affected by the negative feeling that is produced. It would be good to write down your personal reminiscences of where you have felt pain or grief or hurt or fear or bitterness. Journaling in this way will help you to take hold those events in your life story rather, than having the events take a hold of and influence you. 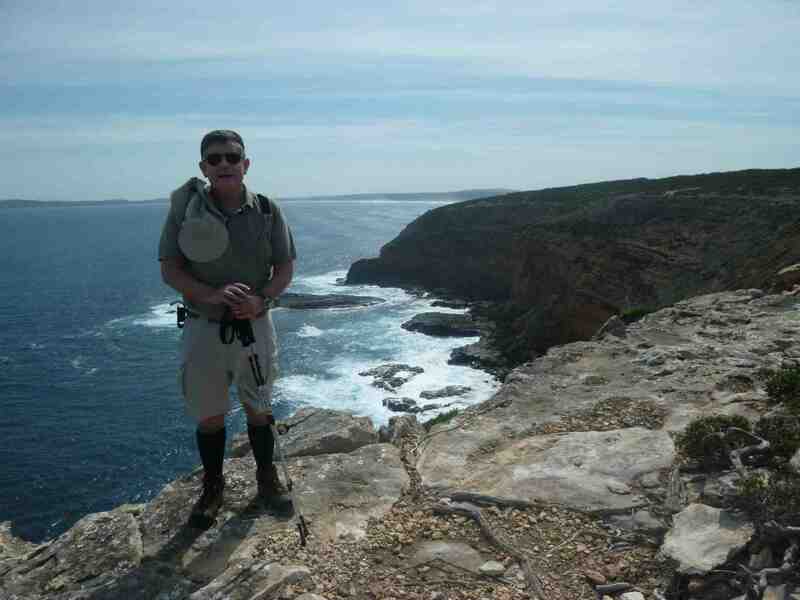 Today was certainly the hardest walking that I have ever done. 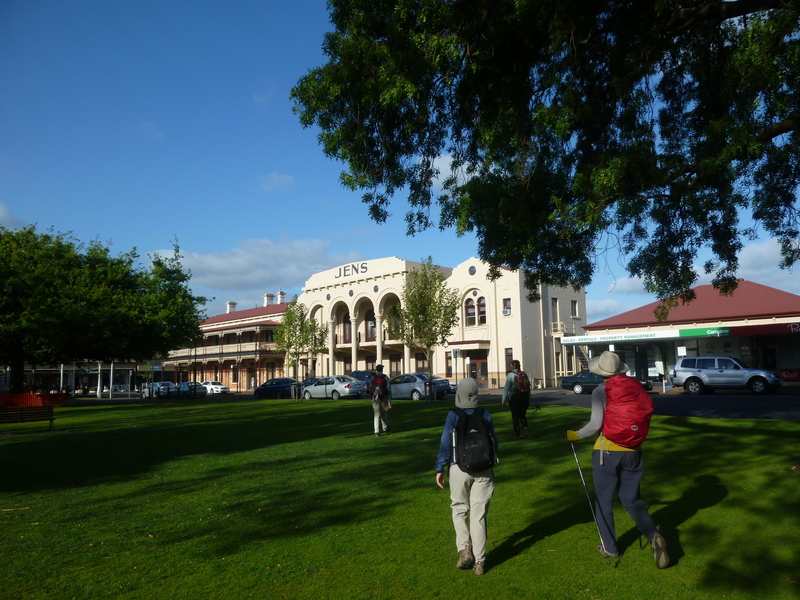 We again split into two groups: Yasu Kogure, Larry and Geraldine Naismith and I drove to Port MacDonnell, left the four-wheel drive Toyota at the hotel there and commenced our walk towards Nelson. 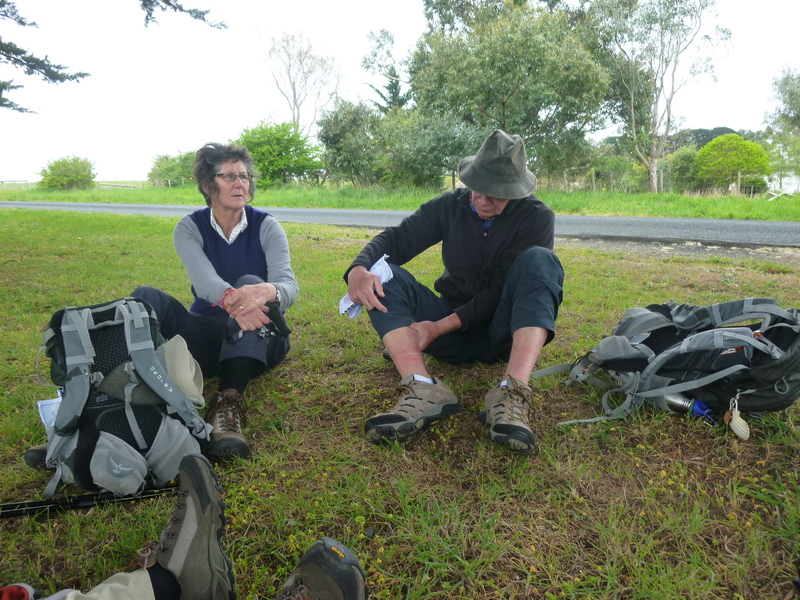 Meanwhile Helen Lucas, Jan Fitzpatrick and Michael Bertie began walking at Nelson towards Port McDonnell. 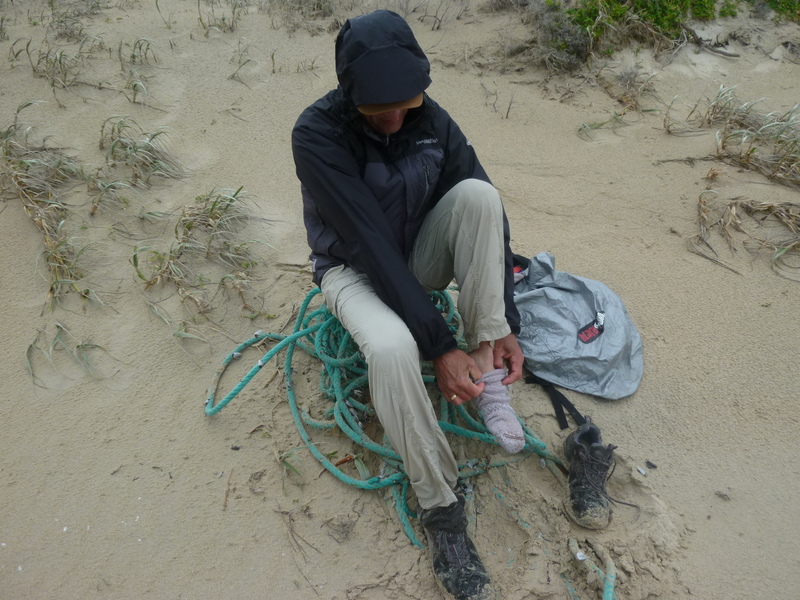 Unlike yesterday, the wind was at our backs, but it was raining and the wind on the beach was very strong. 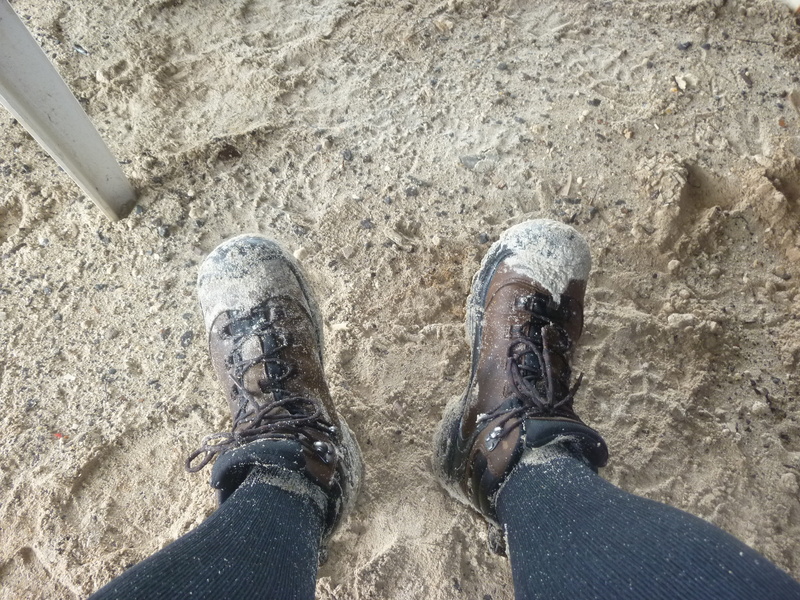 Our boots were waterlogged and full of sand. 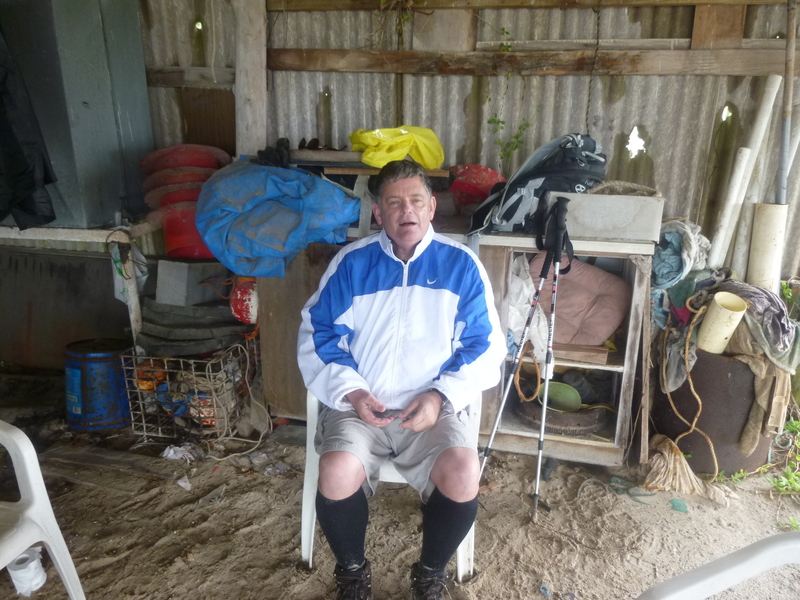 We were lucky to find some shelter just off the beach about 4 and a half hours into the walk. 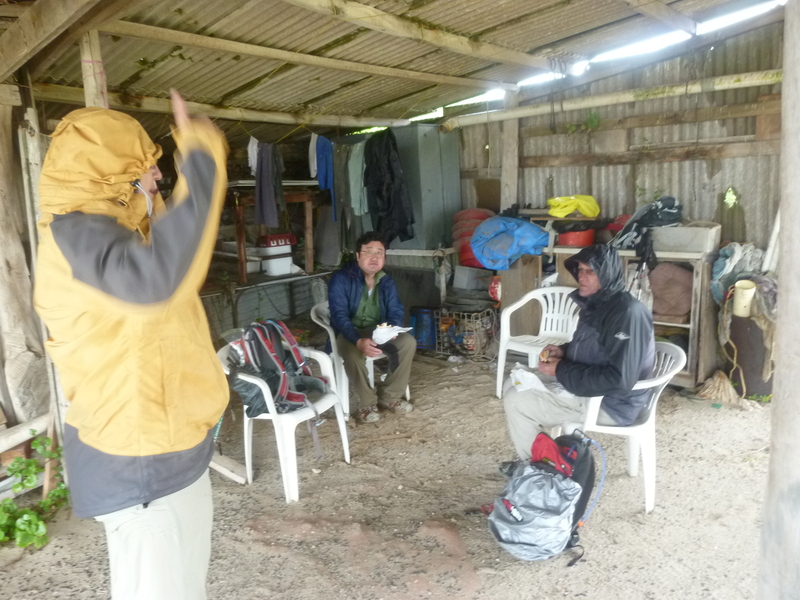 I was starting to feel very cold and began to think that hypothermia might be a possibility. 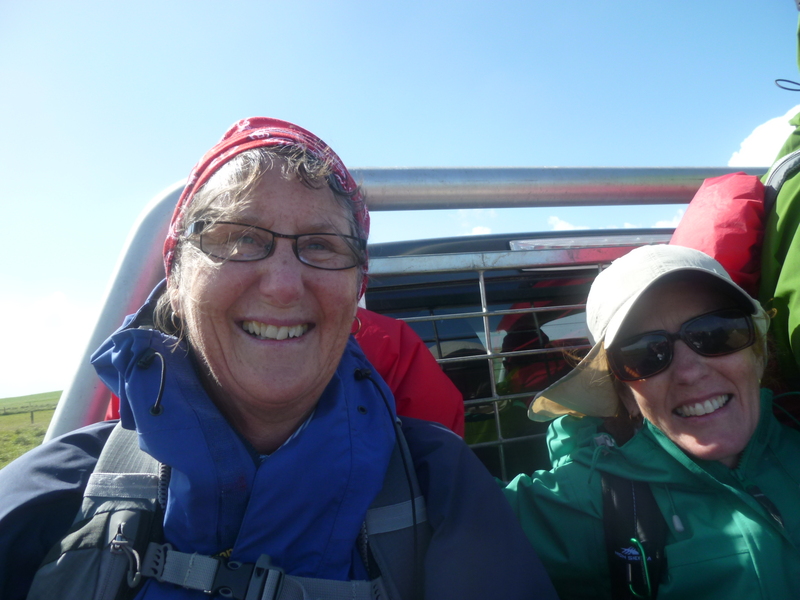 Even though there was very sparse phone coverage for most of the day, we were lucky enough to make a connection with the other group who were struggling against the gale force winds. They made it to the shelter and both groups had lunch together. Today was a beautiful day for walking. It was sunny and there was a cross breeze that kept us cool. 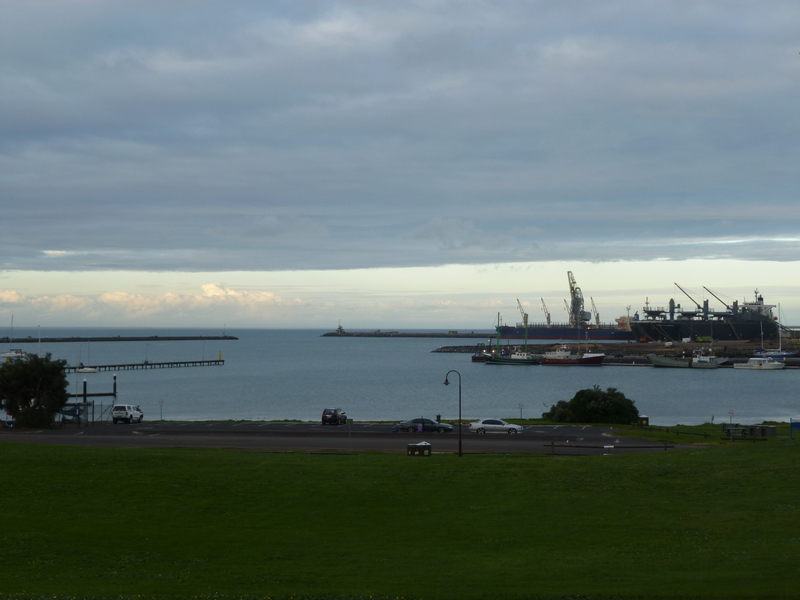 The difference between today’s walk and yesterdays could not have been more stark. 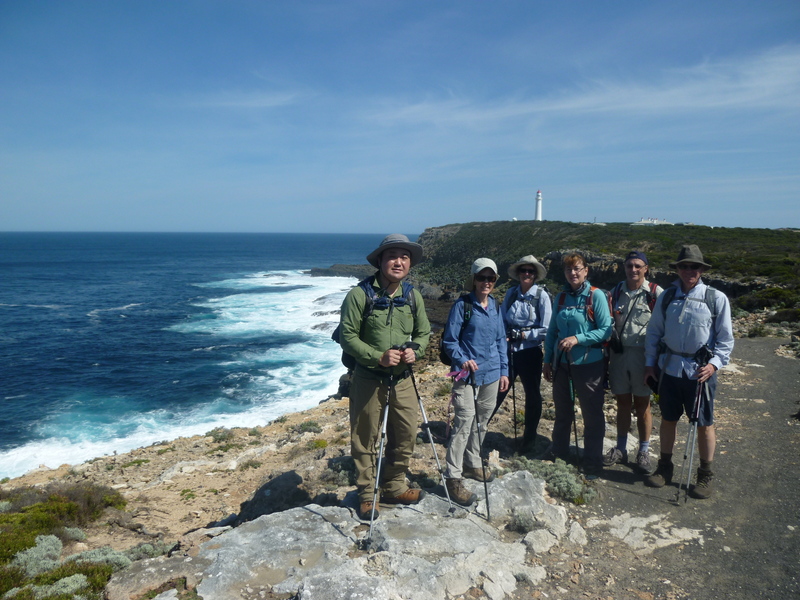 Today we left the beach and turned inland as we walked towards Mount Gambier. Today was another beautiful day for walking. 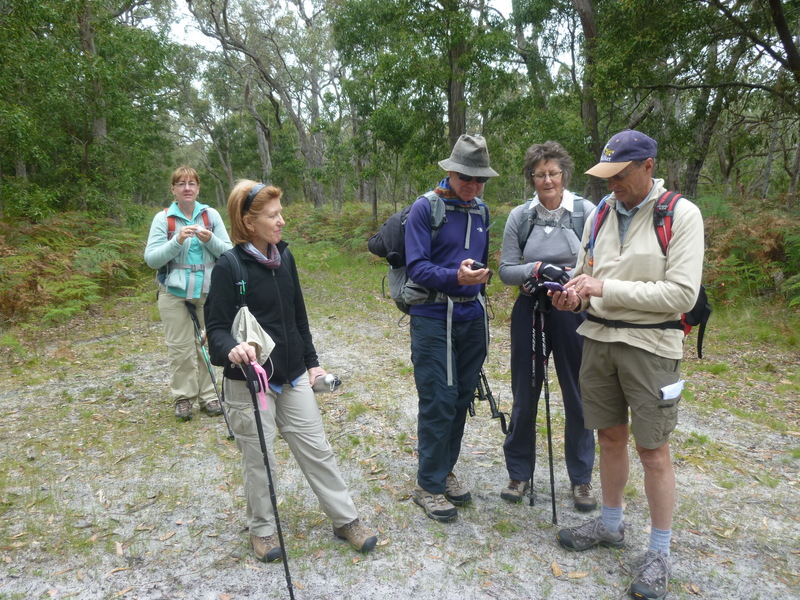 We left Jens Hotel at 8.45am and we arrived at Dismal Swamp at 1.00pm. Today the weather was overcast and there was a cross breeze that kept us cool. Early in the morning Larry, Michael and I drove to our destination and left Larry’s four-wheel drive and our other bags at the Bush Haven Cottages in Dismal Swamp. 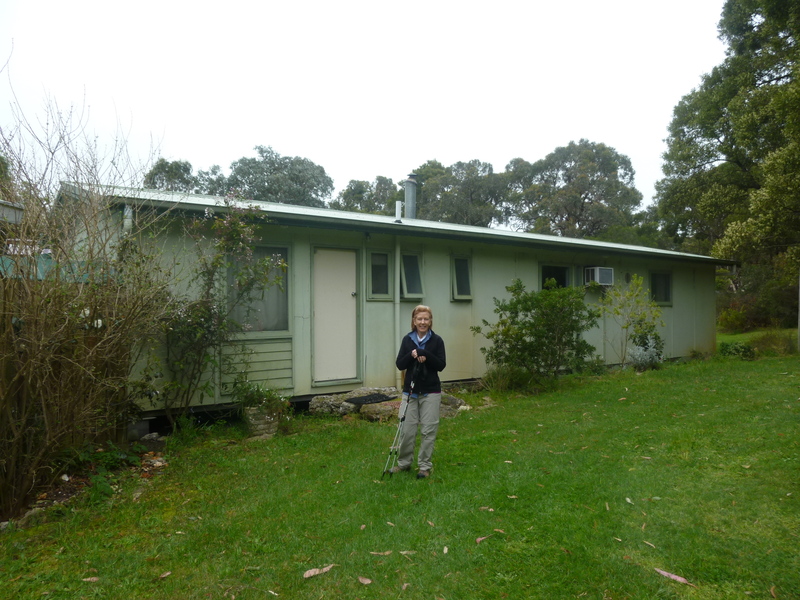 Our accommodation is very nice and the area is not a swamp and is anything but dismal. We met the proprietor, a woman named Pam. 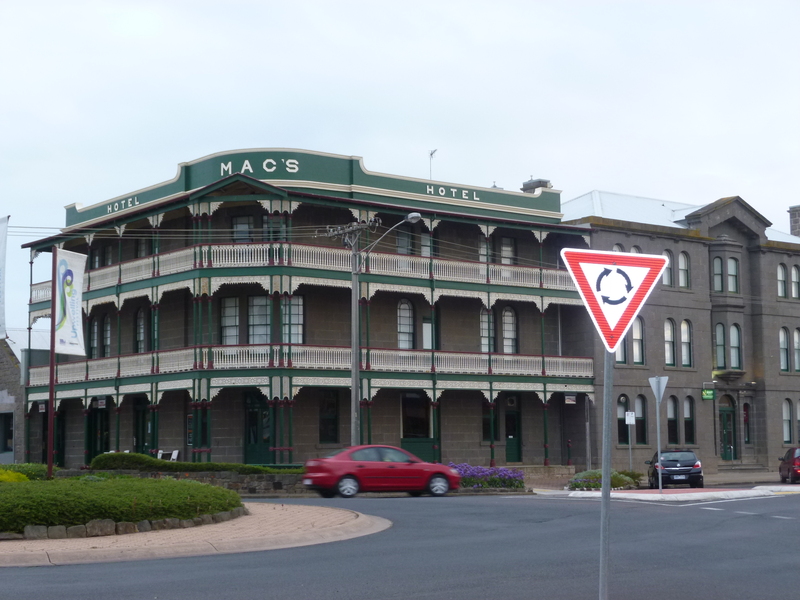 Then we drove Michael Bertie’s car back to Jens Hotel in Mount Gambier. 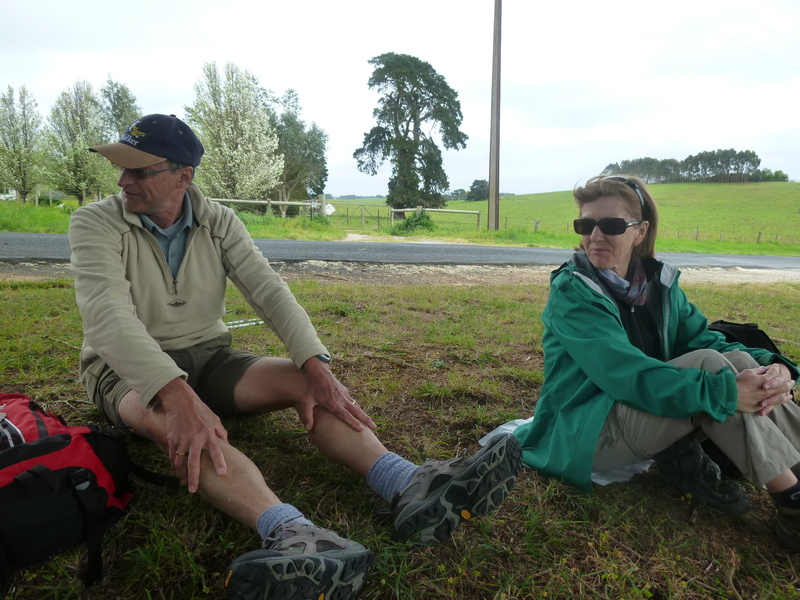 Jan Fitzpatrick and Michael Bertie taking a break after two hours. 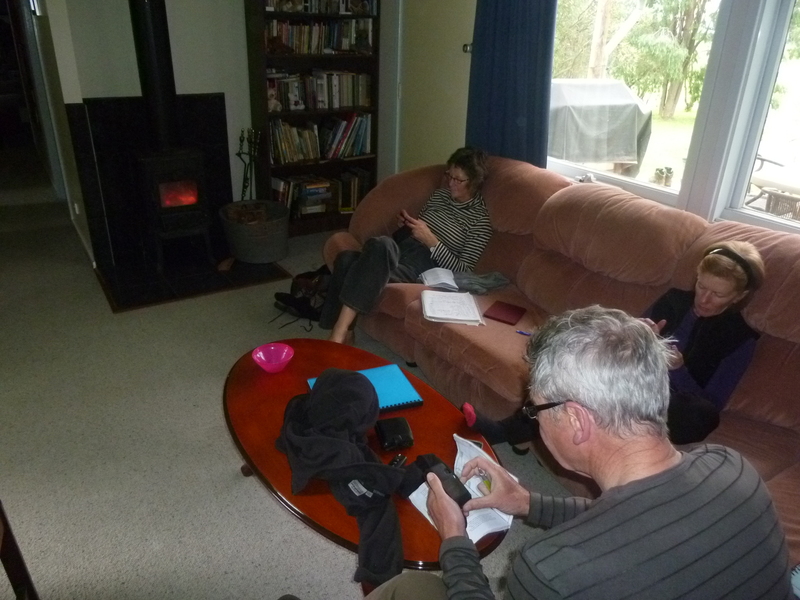 Today as we walked we focused on the Kingdom Meditation. Reflection question: How am I called to work on God’s project in the world? Today was another beautiful day for walking. 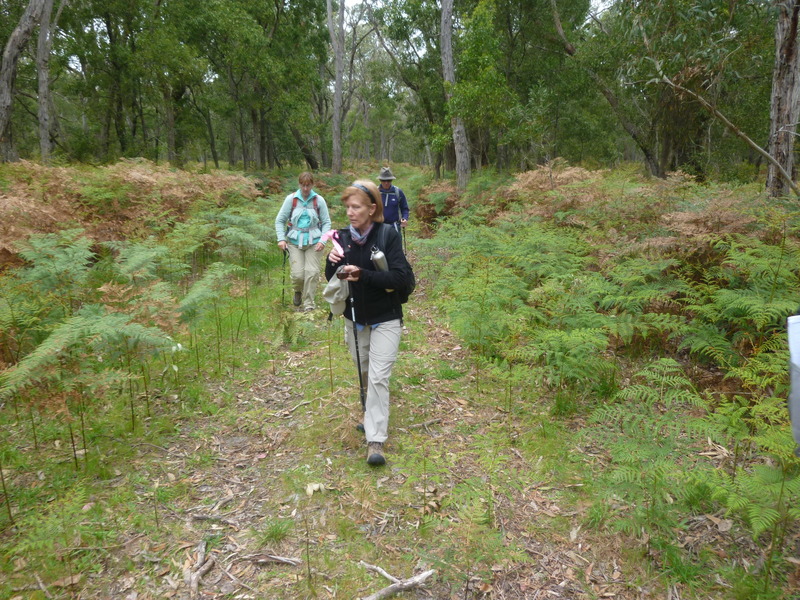 We left Bush Haven Cottages in Dismal Swamp at 8.25am and we arrived in Kalangadoo at 2.15pm. 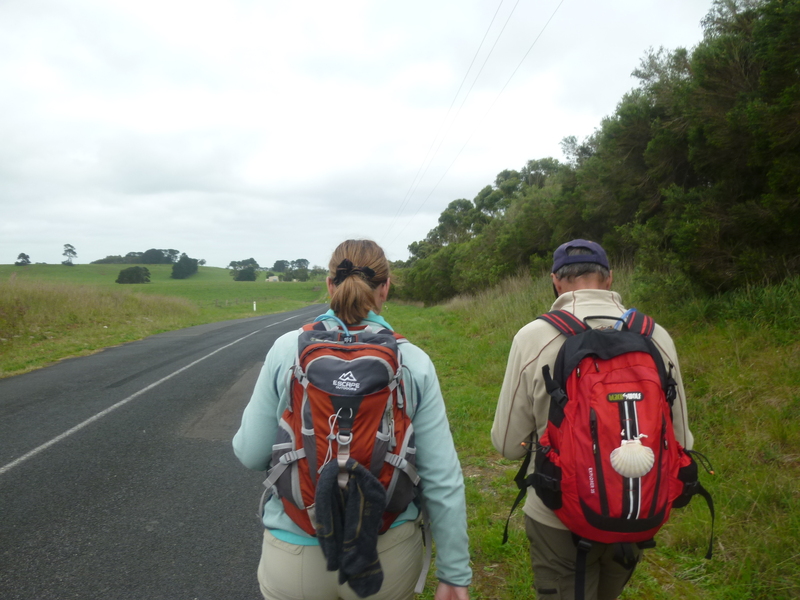 We walked at a leisurely pace. 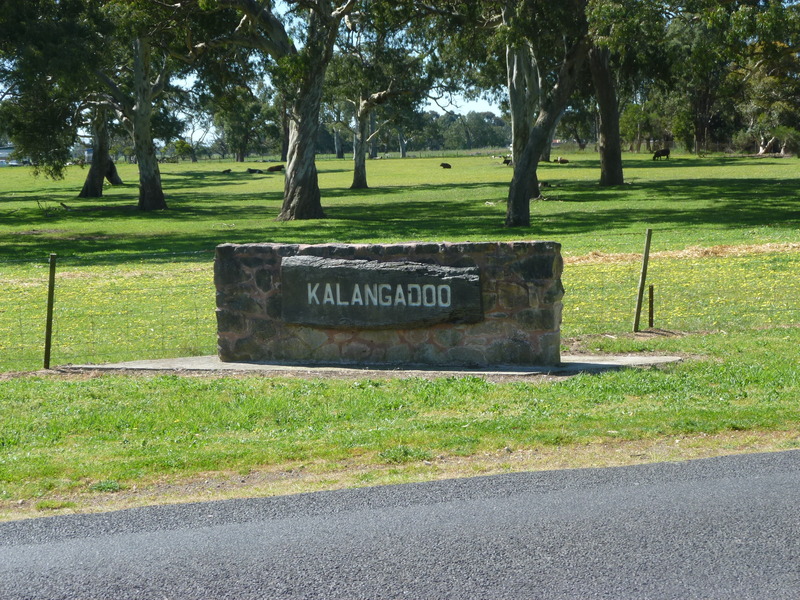 We have arrived in Kalangadoo! 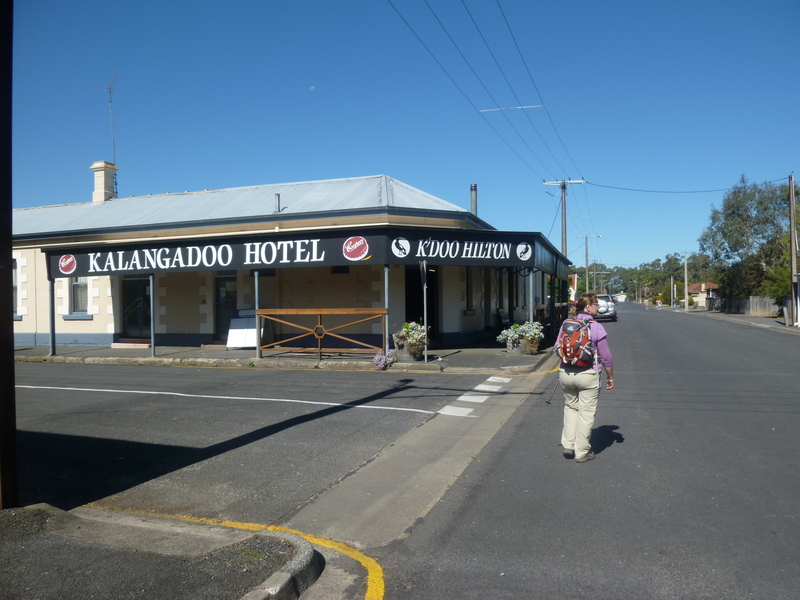 The Kalangadoo Hotel is very basic, but I got a single room for $25 a night, which was amazingly cheap. 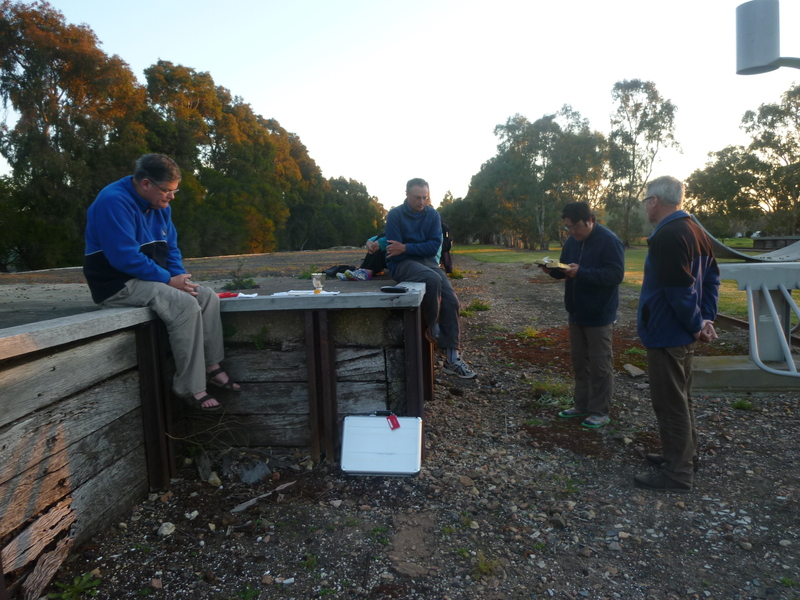 We had Mass on the disused platform of the Kalangadoo Railway Station. In the preparatory prayer I will beg God our Lord for grace that my entire being may be directed purely to the praise and service God. Here it will be to ask for sorrow, compassion, and shame because the Lord is going to His suffering for my sins. Imagine you are at Calvary and you hear him say one of those phrases, for instance, “My God, my God, why have you forsaken me?” Let the words resound in your whole being. Listen deeply to the words. Let them challenge you, awaken you, provoke you to response. When you can no longer hold back your response say to Jesus what is in your heart. Today was another beautiful day for walking. 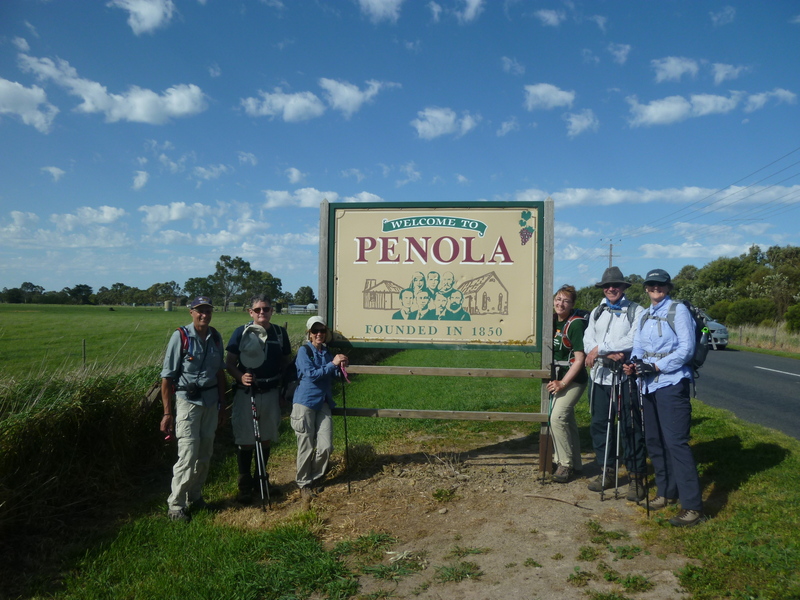 We left Kalangadoo at 8.05am and we walked into Penola at 3.30pm. 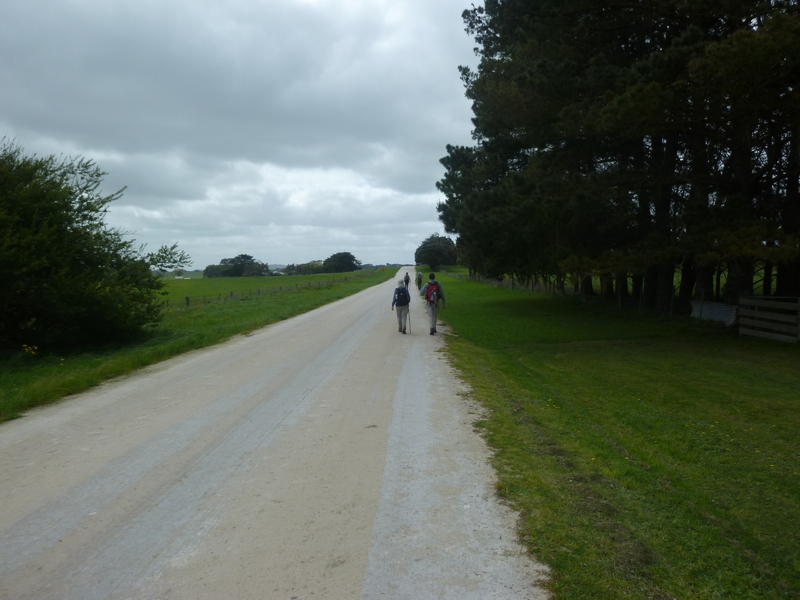 The country roads were very pleasant to walk on earlier in the day. 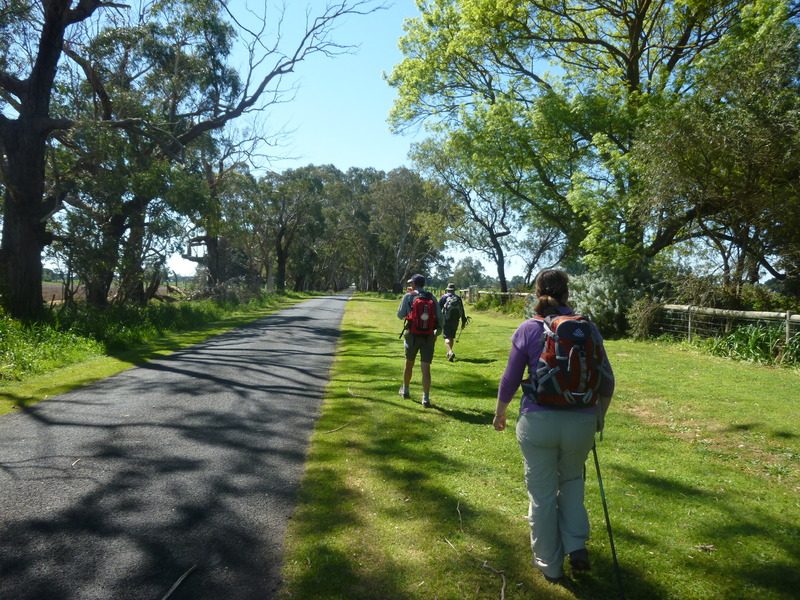 But later in the morning and in the afternoon we had to walk on the disused railway track from Kalangadoo to Penola. 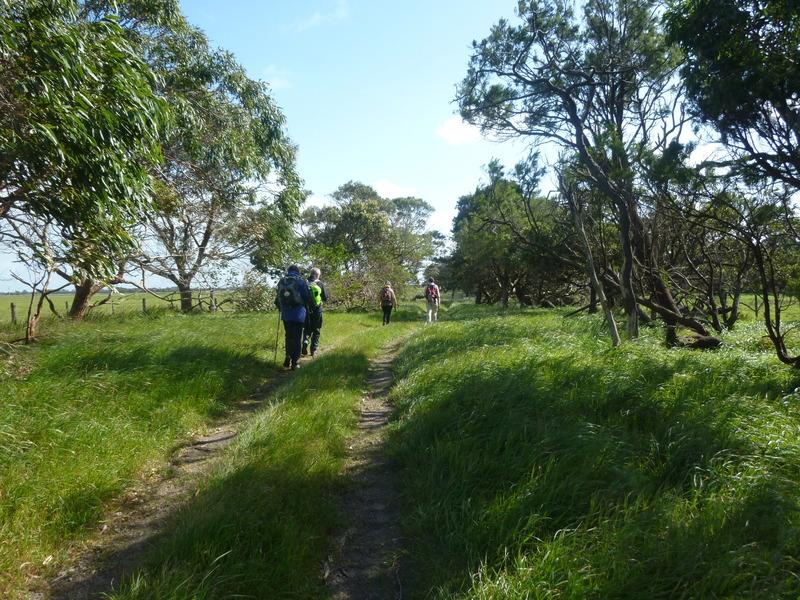 It was overgrown and each of us was vigilant looking out for snakes that might be sunning themselves on the stones beside the rail lines. It was not pleasant walking. 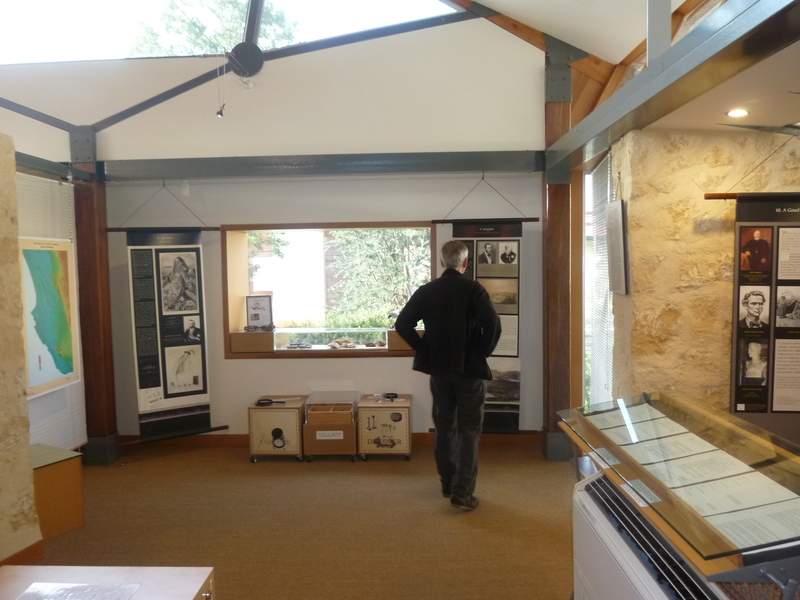 When we arrived we went directed to the Mary MacKillop Interpretive Centre where we were met by Anne Marie Matuschka and Brian O’Connor who made us very welcome. 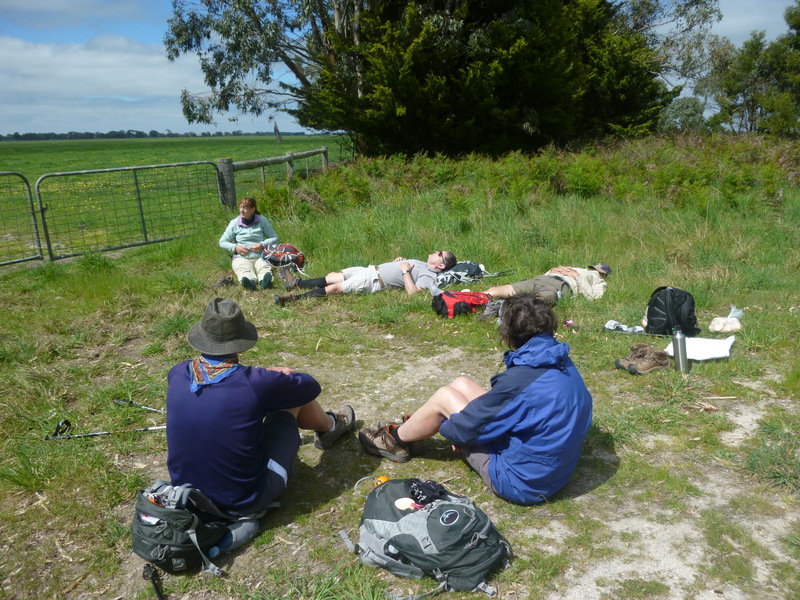 Anne Marie provided us with cold drinks and biscuits. 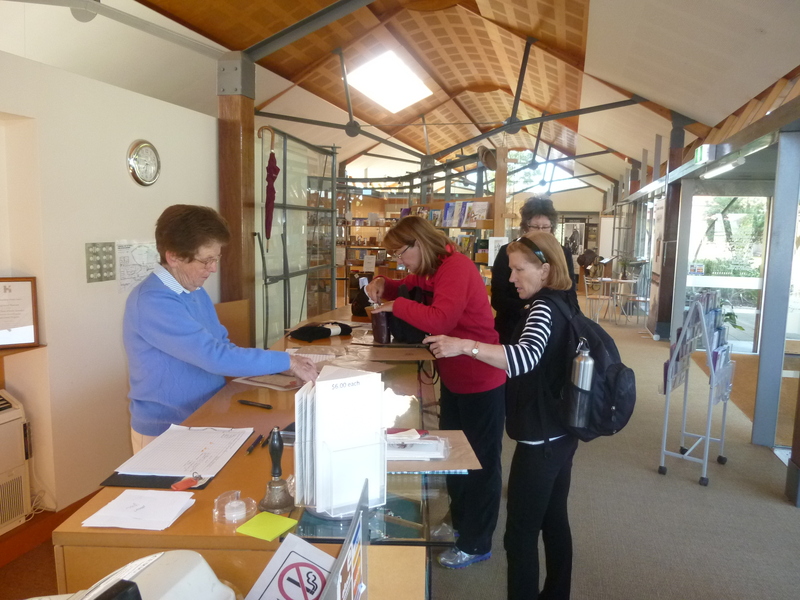 The centre was due to close at 4.00pm, but she and Claire Larkin kept the Centre open for us until 6.00pm. 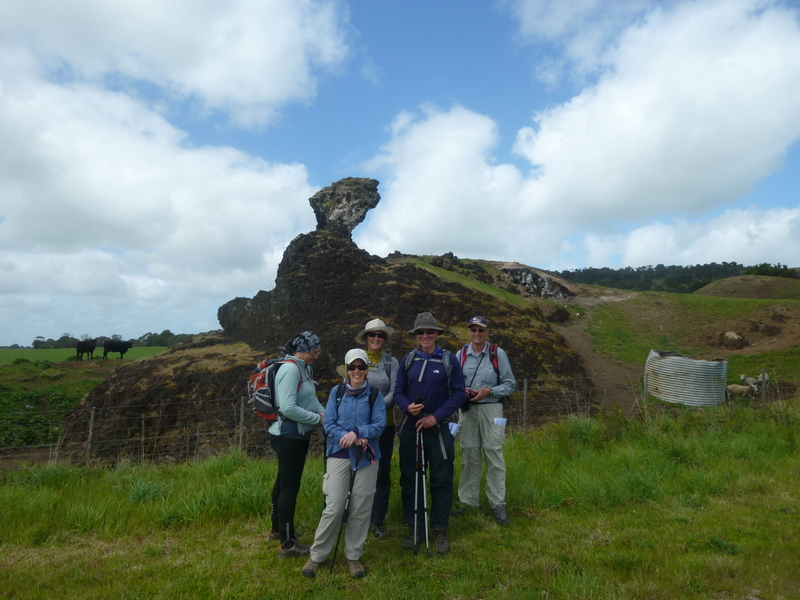 Both Anne Marie and Claire remarked that we looked fresher than the last group of pilgrims who arrived on foot. For those of us in our sixties, that was quite a compliment! 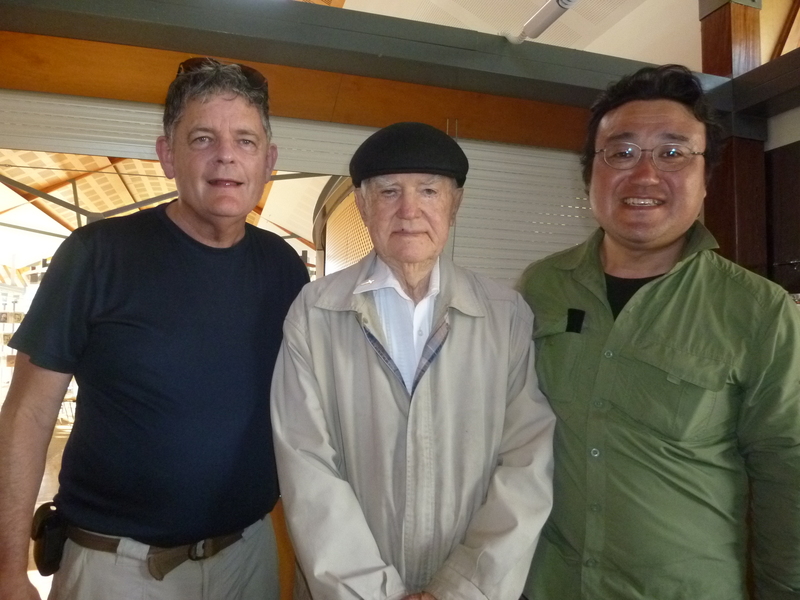 Fr Paul Gardiner SJ, the Jesuit priest who was the postulator for the cause of Mary MacKillop’s Canonisation, came over from the presbytery and the three Jesuits — Paul, Yasu and I — sat down with a cup of tea and talked for an hour. It was a great privilege to sit with Paul, who is now 91 years of age, and hear the story of Mary MacKillop and the story of his role in her canonisation. Take time out to sense his unconditional love for you as he looks at youlovingly and humbly. Speak to Christ … or just lovingly stay in silence and communicate with him beyond words. (This exercise is taken from Antony de Mello’s book, Sadhana: A Way to God,Anand, India: Gujarat Sahitya Prakash, 1988). As I walk today I consider that God works busily in all creation. I use a metaphor here, of course, but I can see that if God attends to each and every creature and keeps shaping instincts and consciences and raising the energies that form our weather and our interactions, then I make a lot of sense when I say that God works busily. I let my mind run through all created things: the far reaches of space, our own galaxy, the globe of the earth, imagining how God labours to keep their magnificent order and functioning. Then I enter into living things, perhaps into individ­ual birds or animals and individual persons, imagining how God keeps nerves crackling and bone marrow producing blood, and the like. 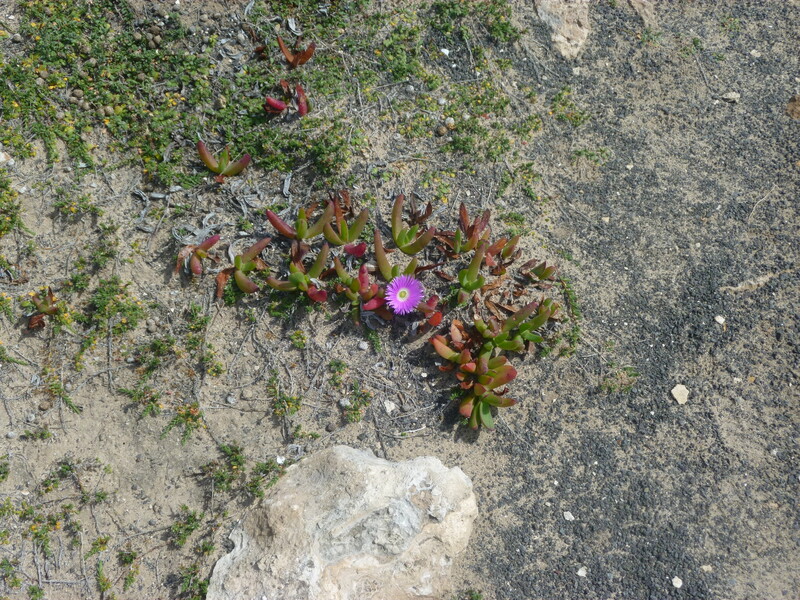 I might consider a tiny little bug or flower, and imagine how many other living and nonliving things conspired to bring it to life and sustain it. I consider this and ponder it, letting my heart go out to God. How great God is! How full of life, and how eager to have others exist, particularly other rational creatures. God labours and hopes and keeps sustaining us even when we destroy. Then I think about my own case, about my own life history and my own self. How did God have to labour to keep me alive? To keep me growing and learning and believing and hoping? Were there no times when I realized that God was working in me? For me? So I say the prayer below, putting my whole mind and strength into the offering and the petition. looking to find Your hopes and will in all. and I neither need nor want anything else. (This exercise is taken from Joseph Tetlow’s book Choosing Christ in the World. St. Louis: Institute of Jesuit Sources, 1989). 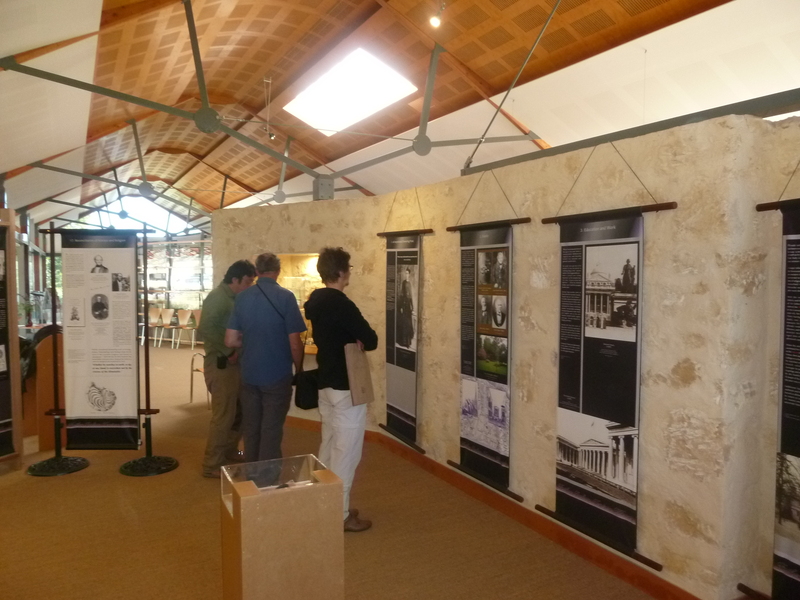 Claire Larkin kindly offered to open the Mary MacKillop Interpretive Centre at 8.30am on Sunday morning so that we could spend some time viewing the exhibits and learning about the lives of Saint Mary MacKillop and Fr Julian Tenison Woods. The Centre would normally open at 10.00am, but because we had a long drive back to Melbourne, Claire was very gracious in opening early for us. 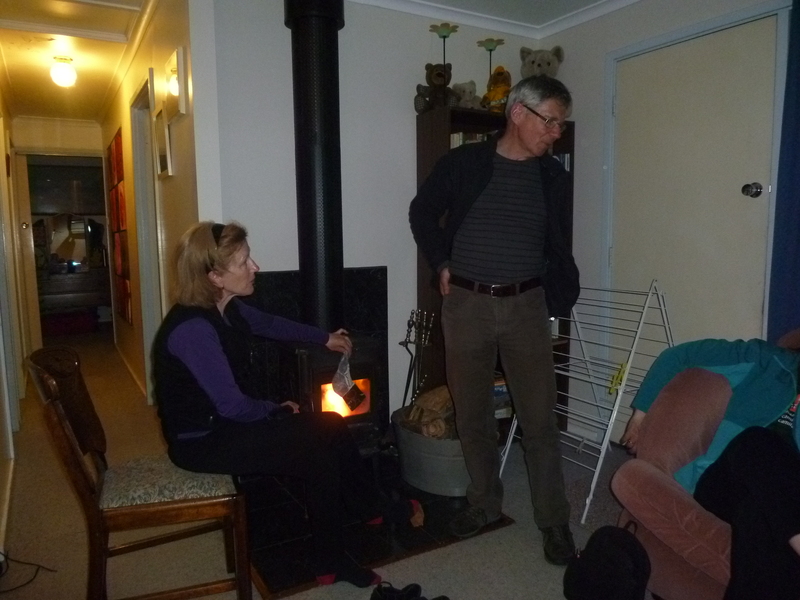 The hospitality and warmth of Claire and Anne Marie was outstanding. 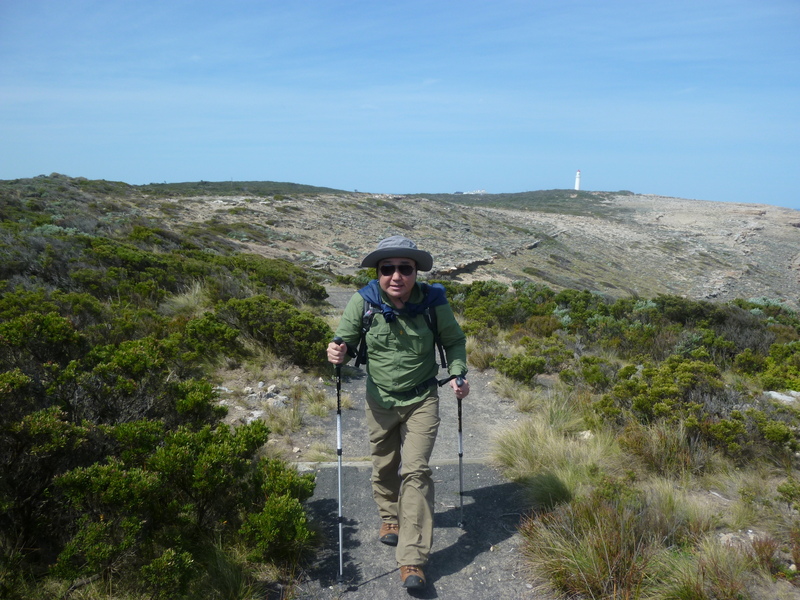 Thank you for sharing your account of your pilgrimage. Having walked the journey in October this year (2016), seeing your photos and reading your account was a revisit for me. I walked it solo with a backpack, camping along the way. I loved the solitude, immersed in the environment, open to the elements, letting go of thinking and simply being in the rhythm of walking. I took 12 1/2 days with a rest day in the middle. The experience was a profound blessing for me.